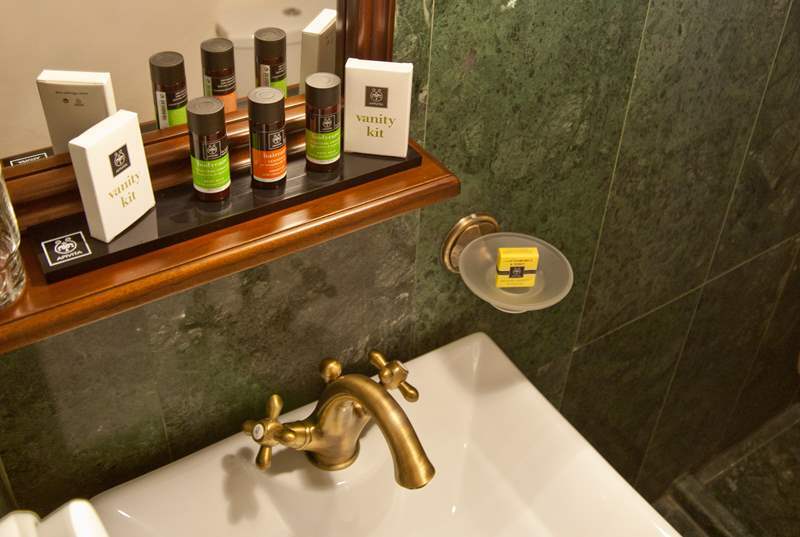 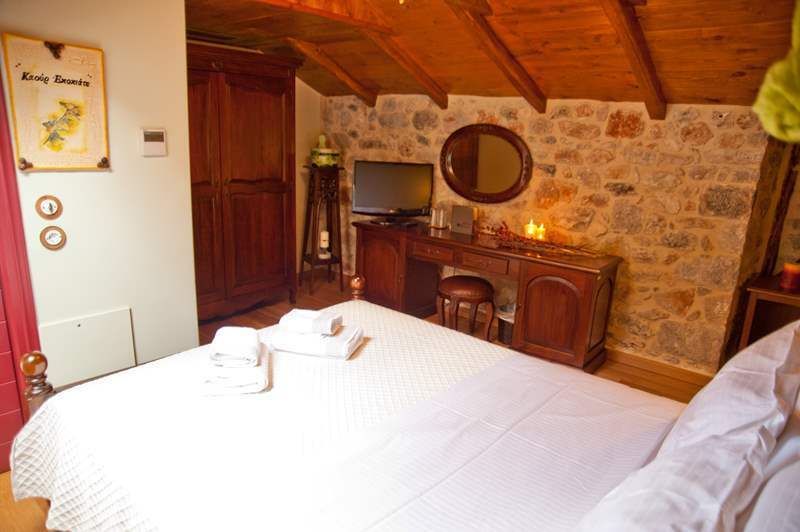 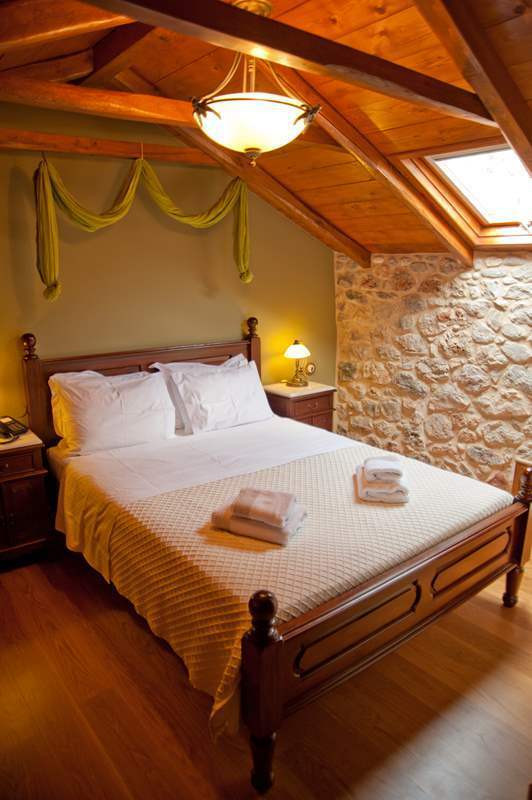 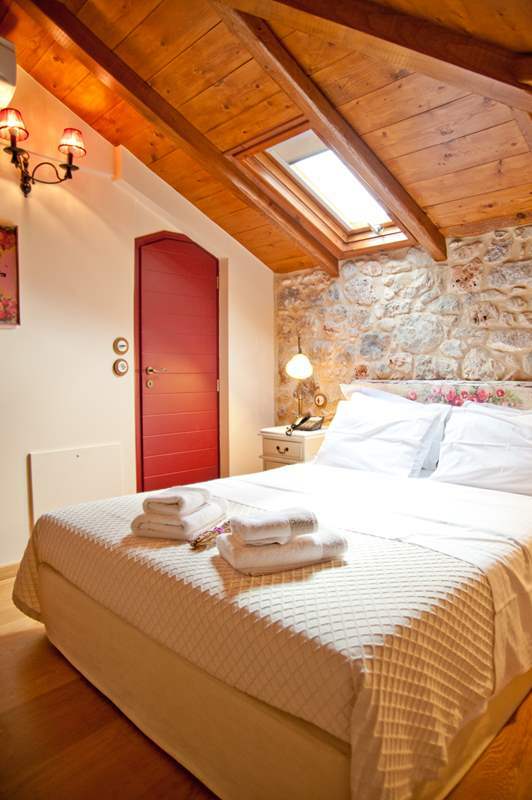 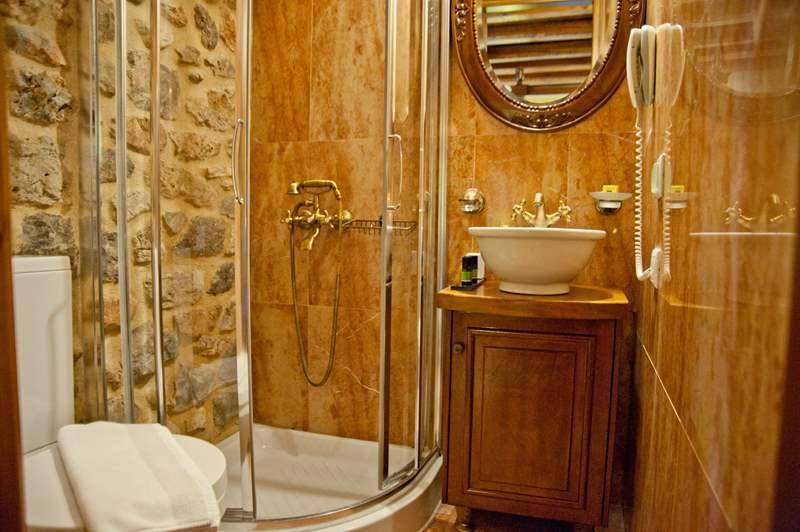 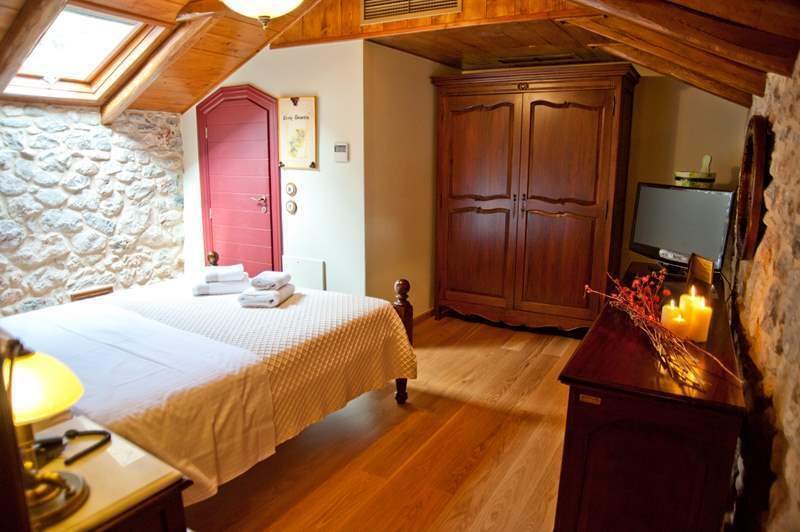 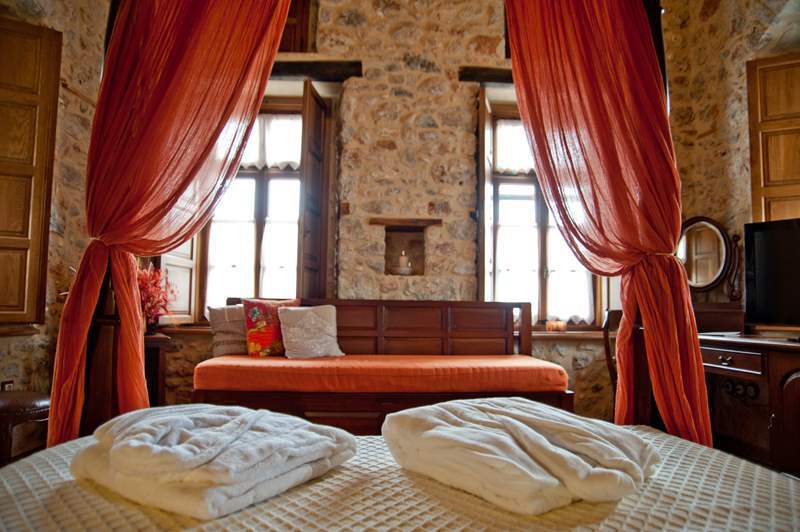 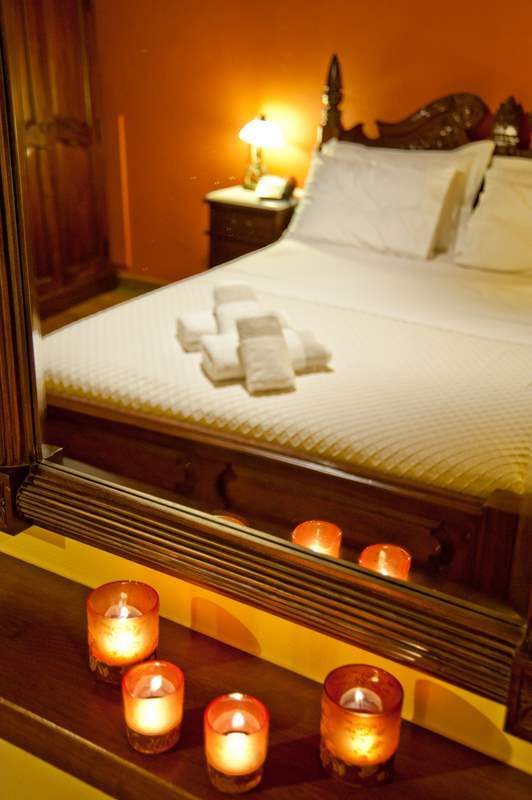 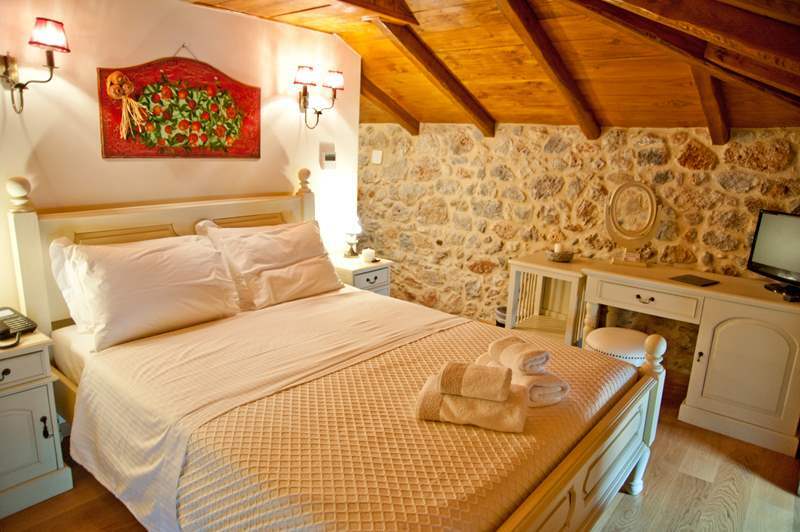 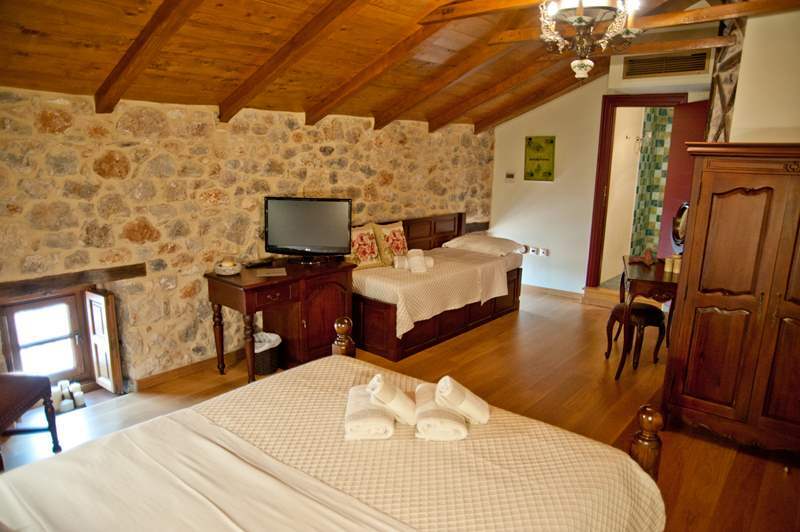 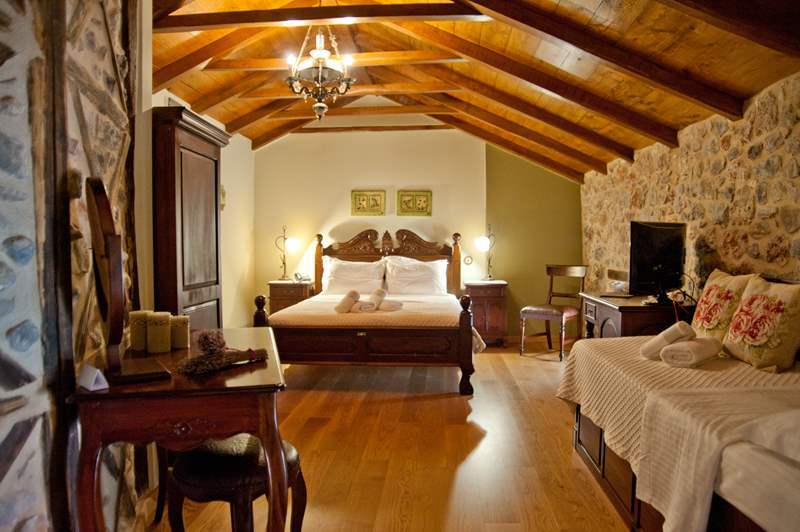 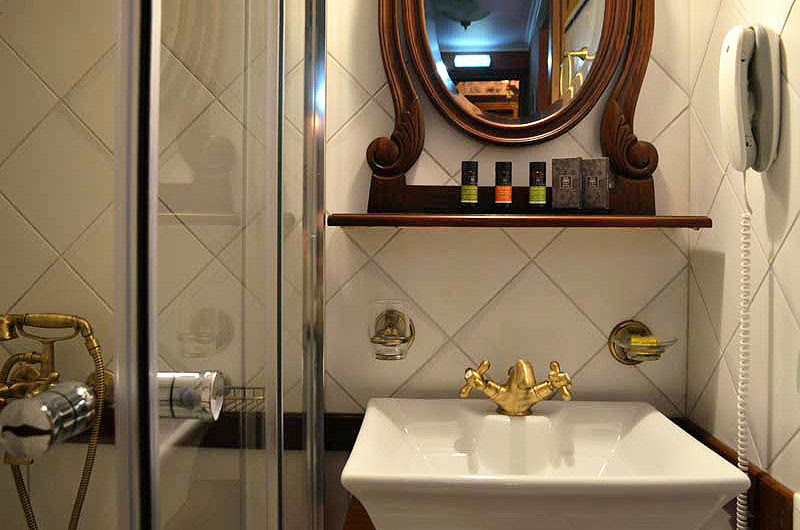 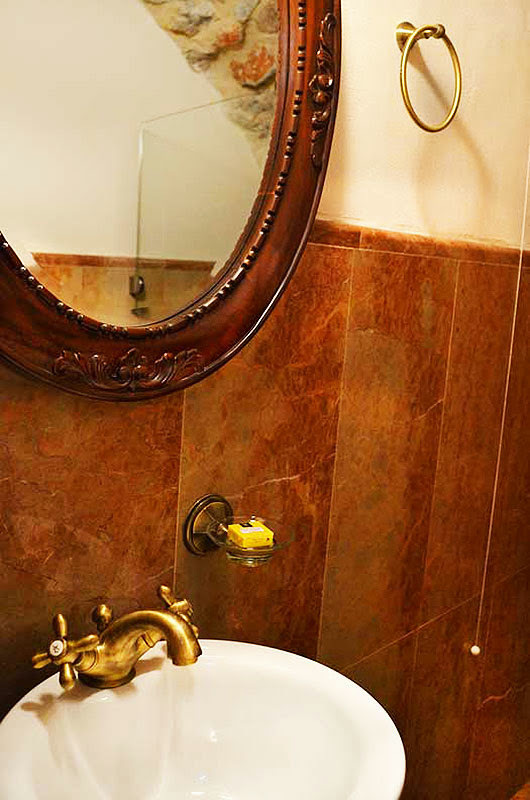 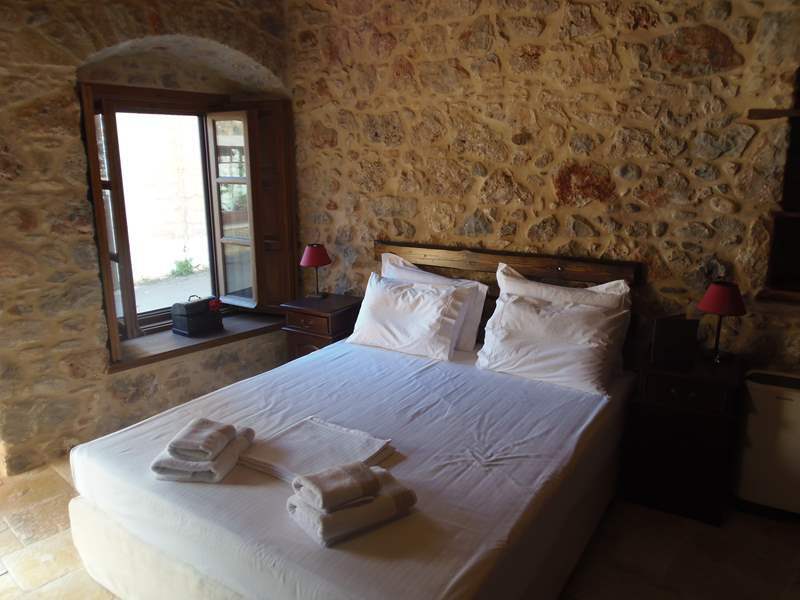 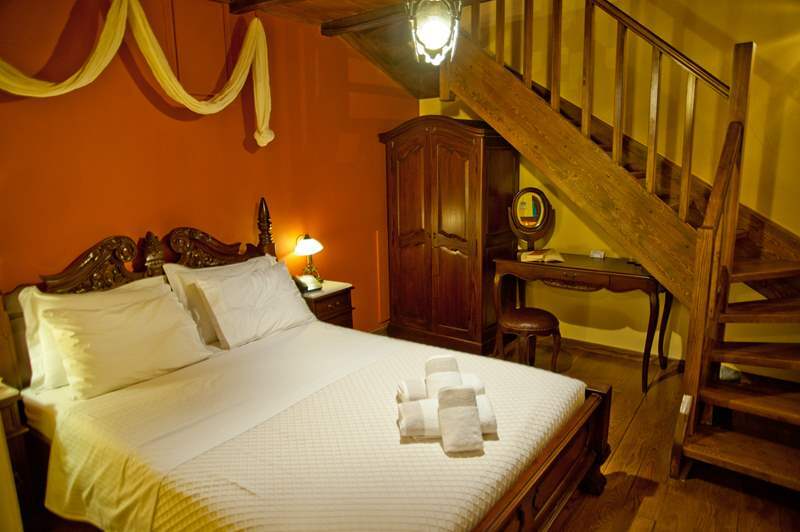 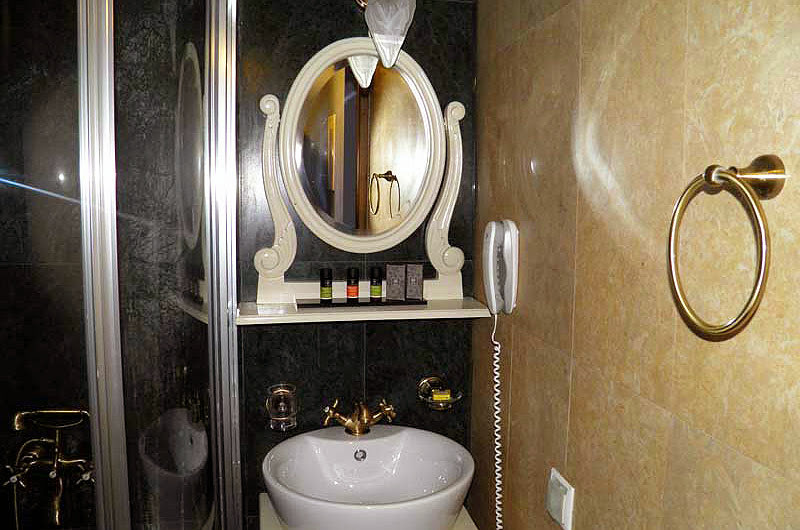 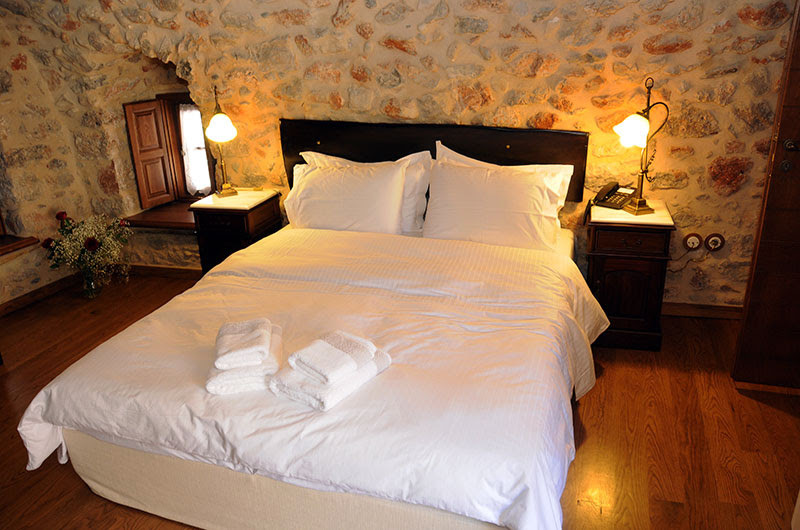 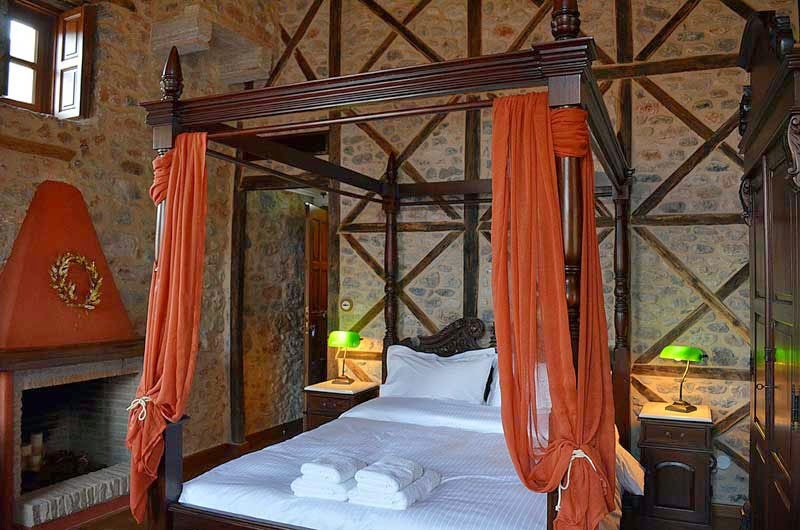 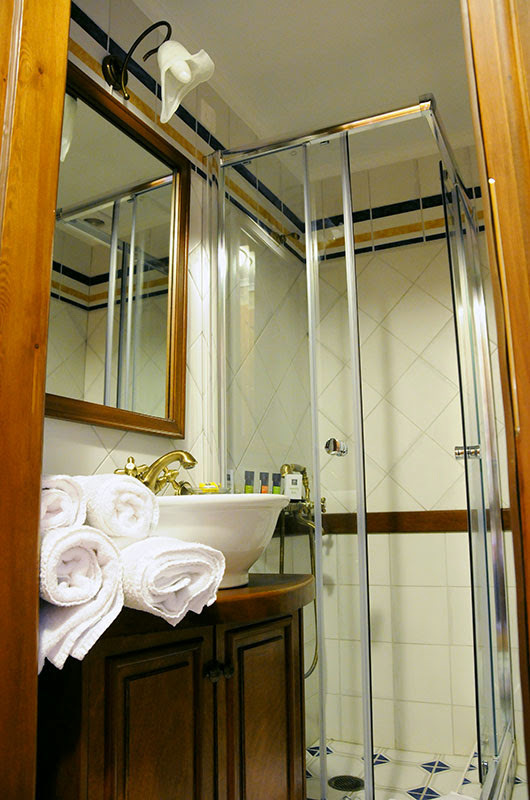 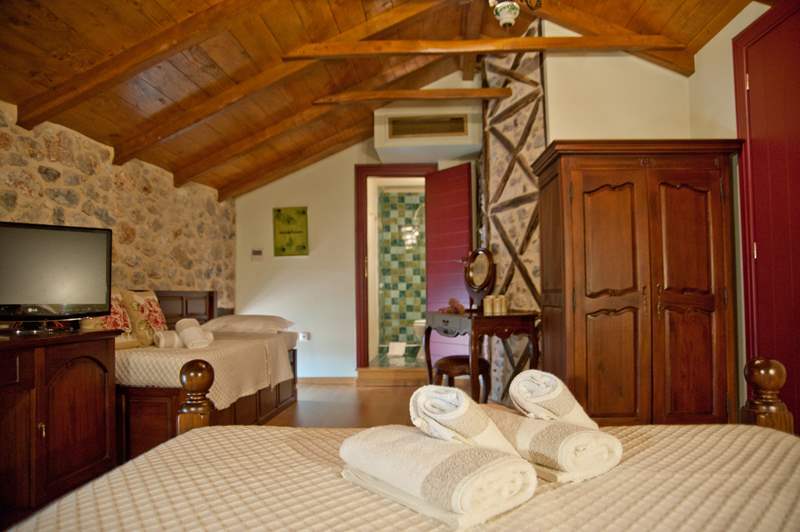 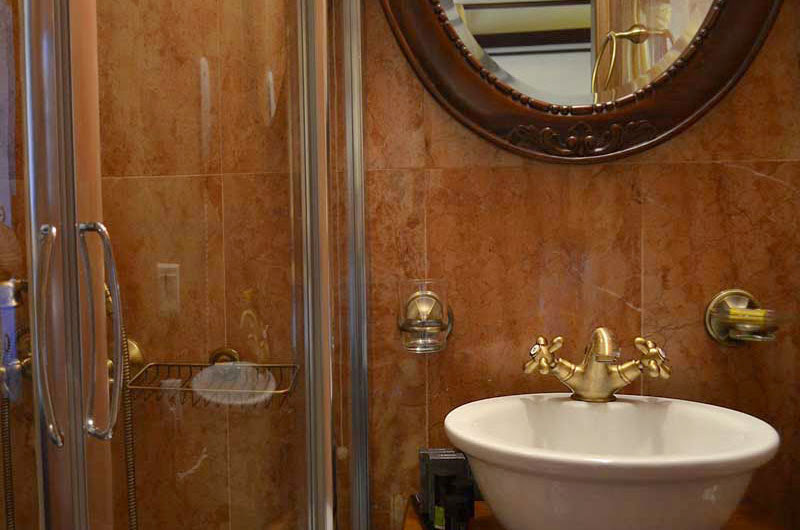 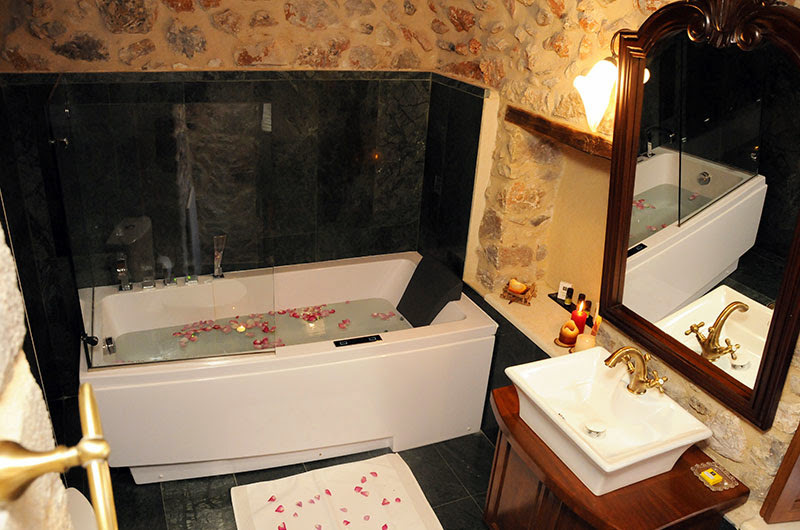 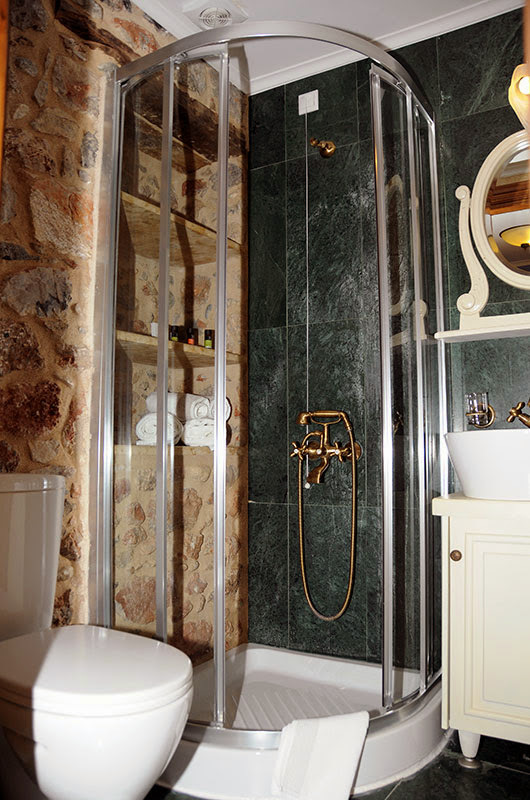 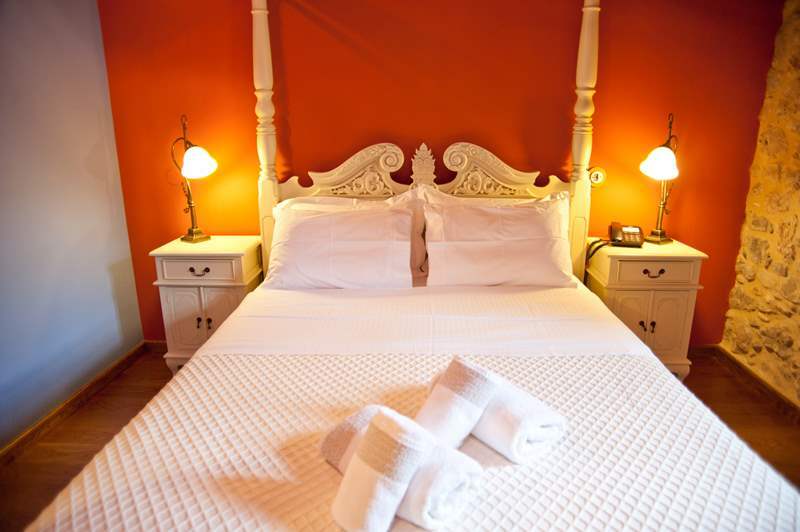 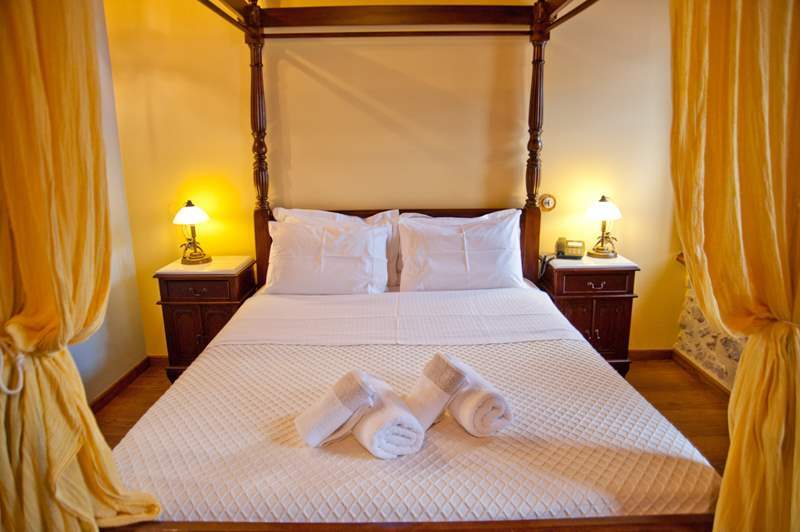 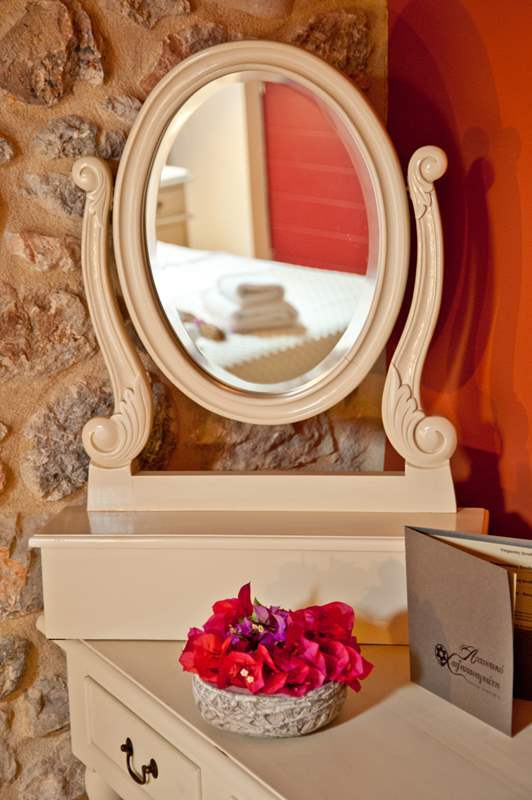 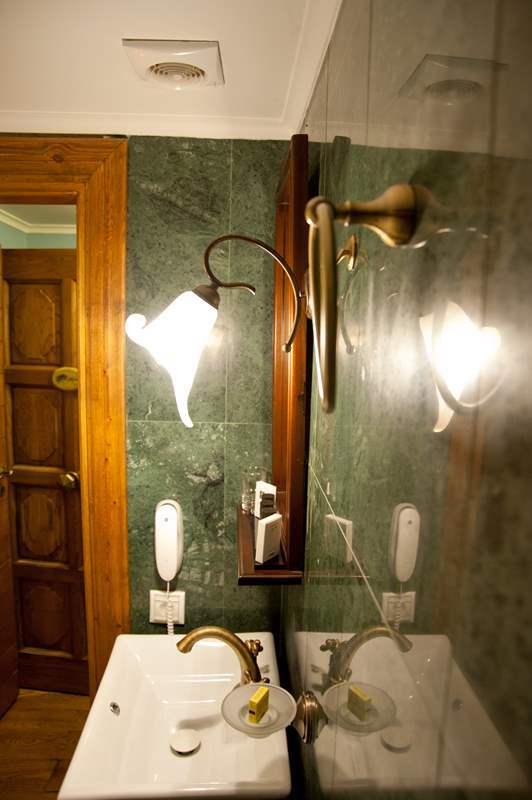 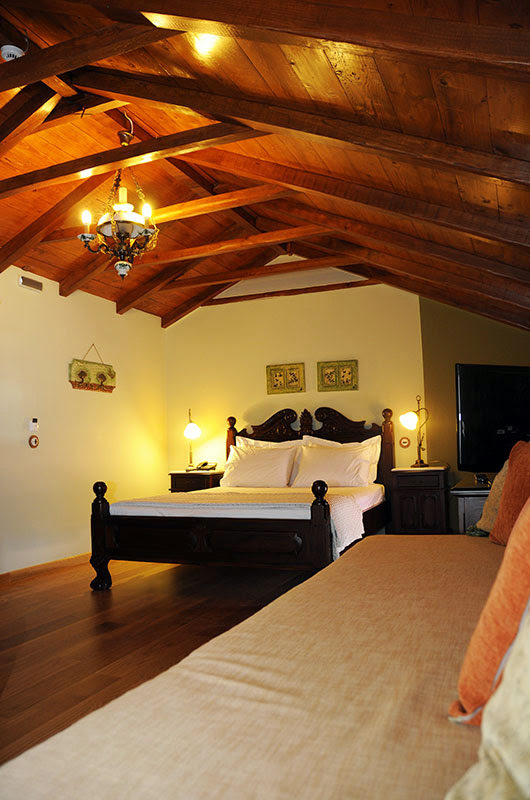 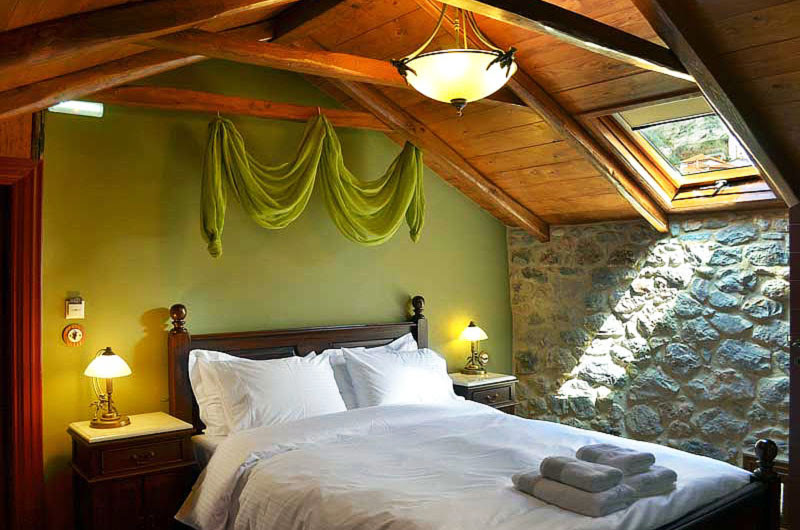 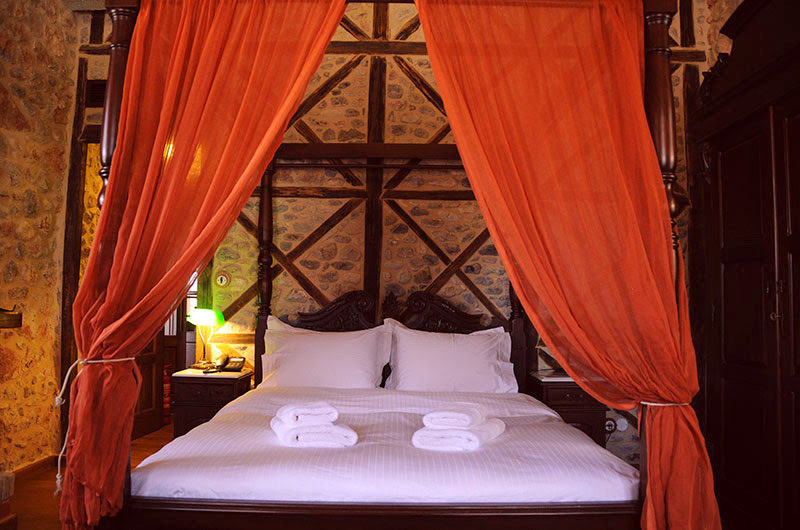 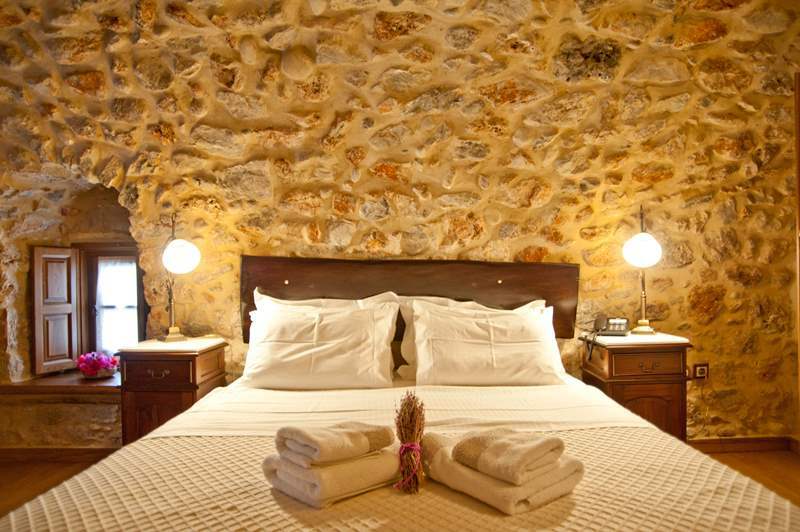 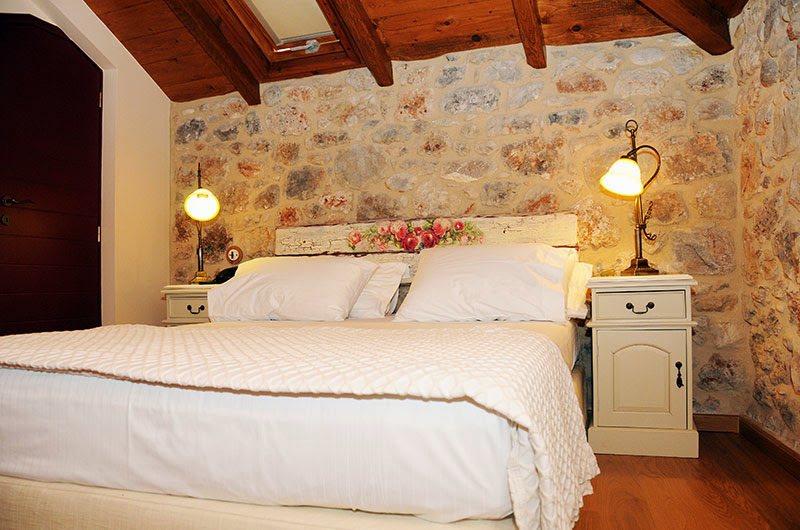 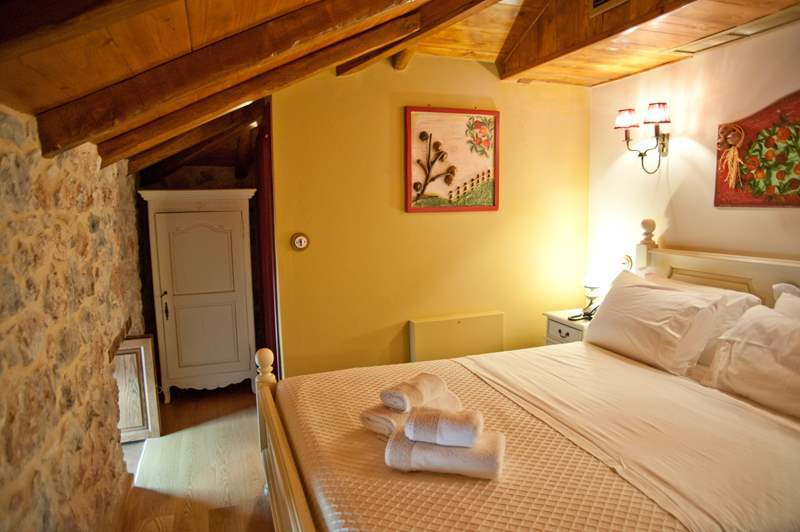 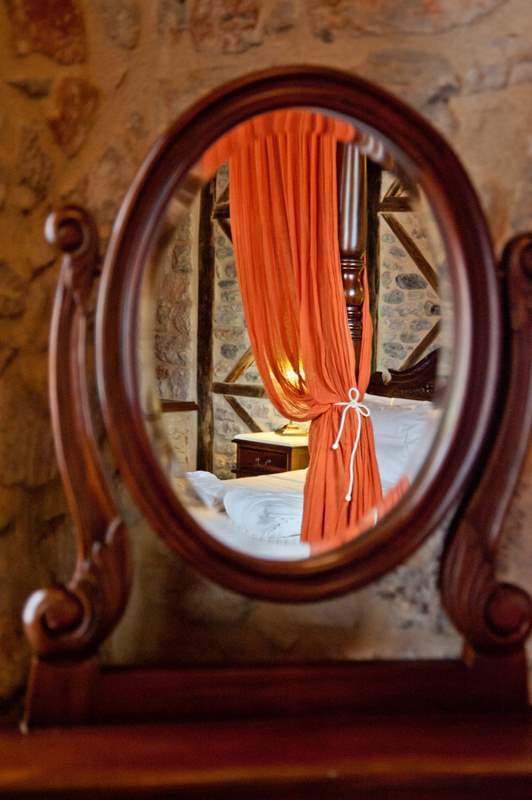 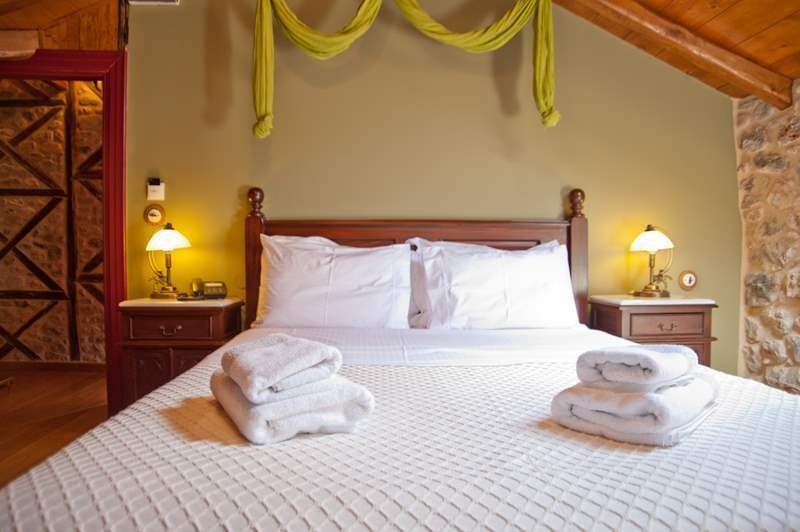 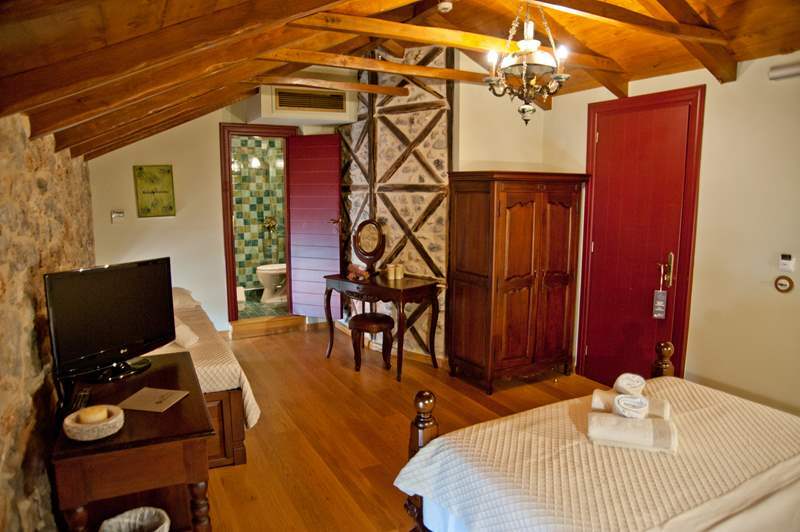 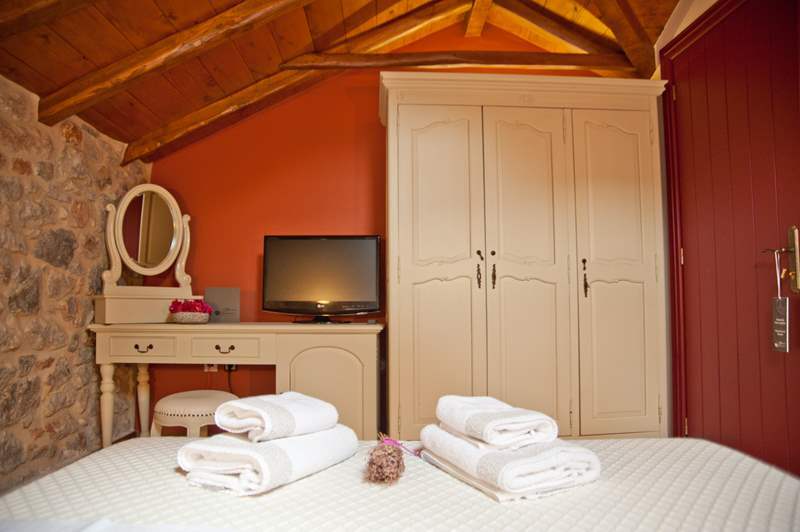 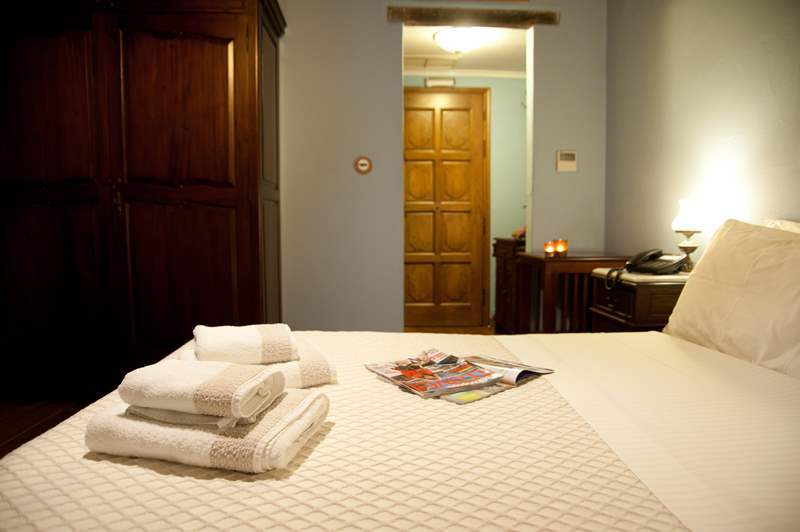 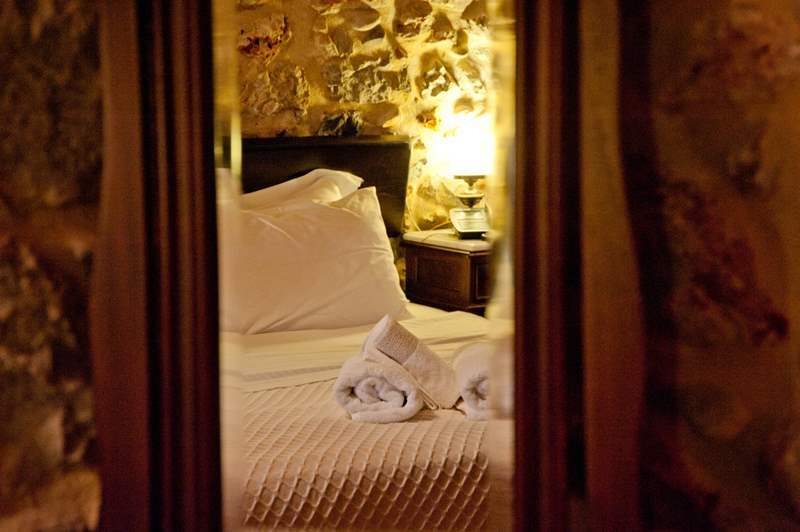 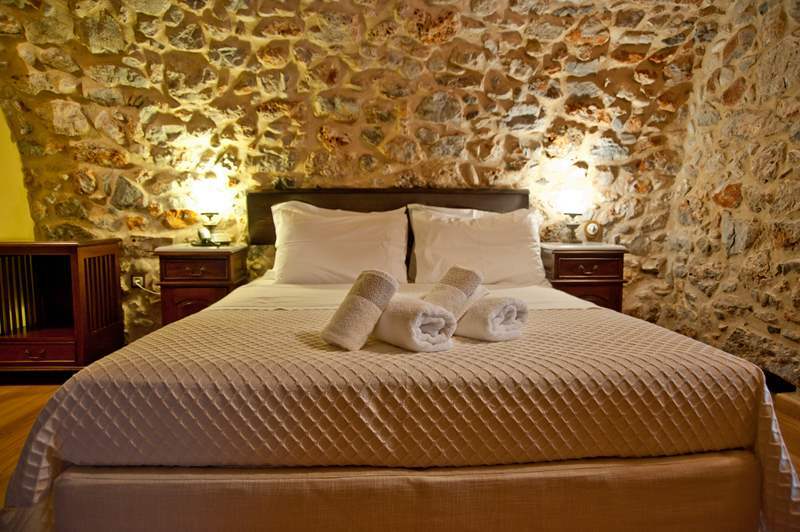 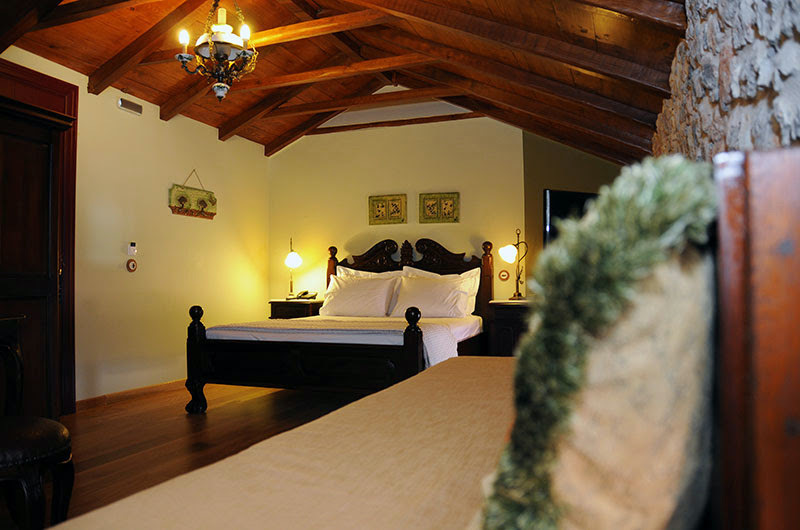 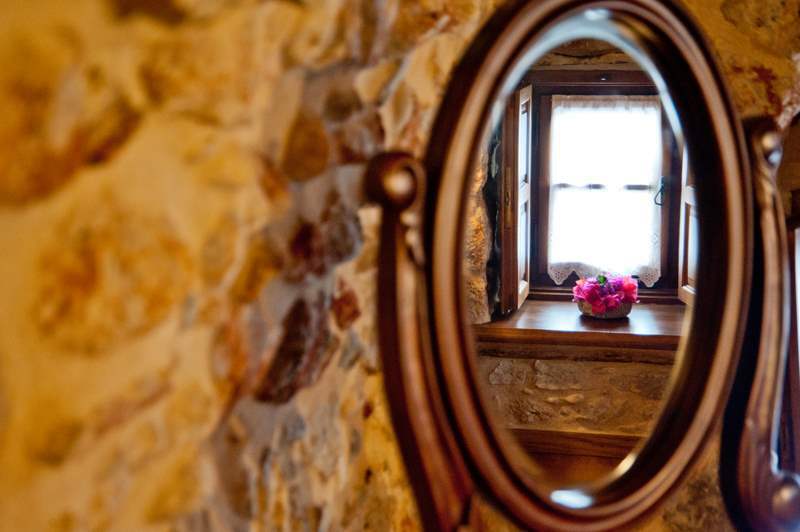 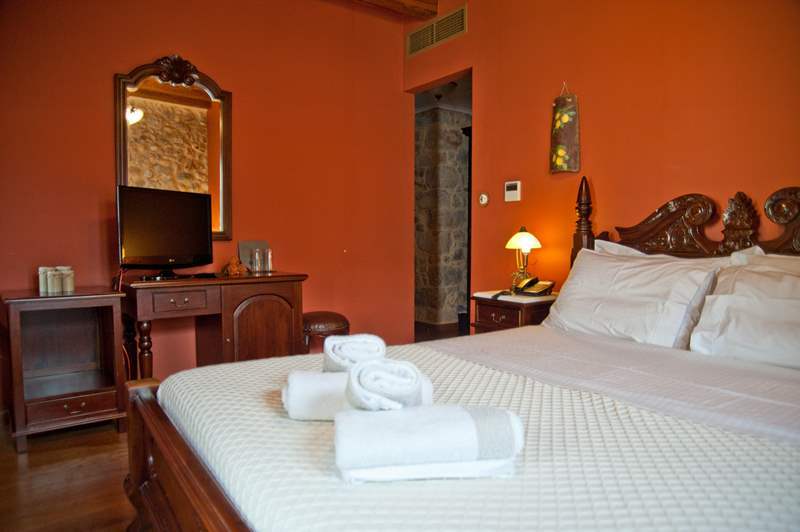 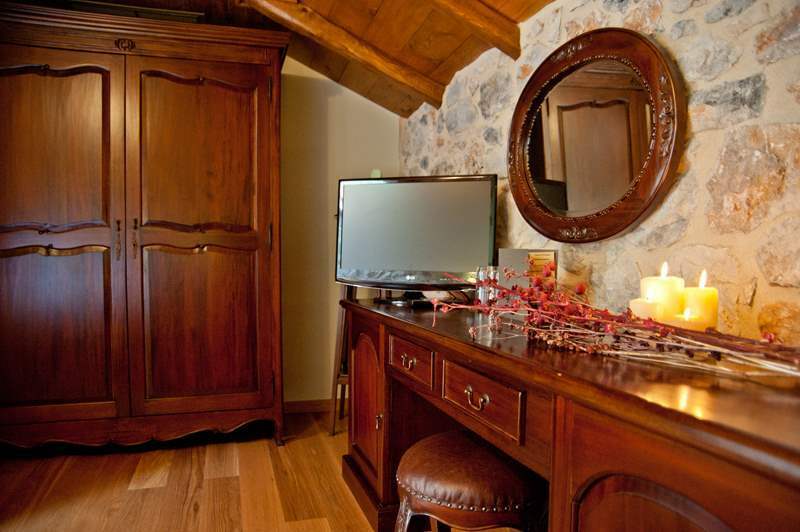 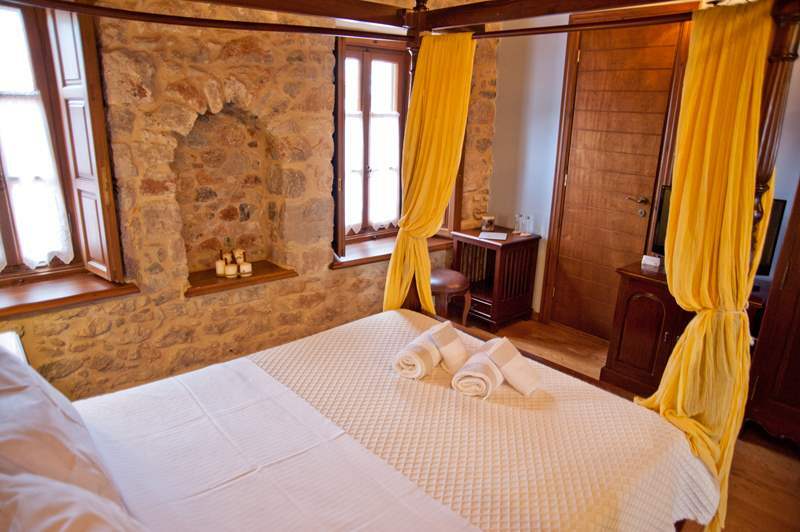 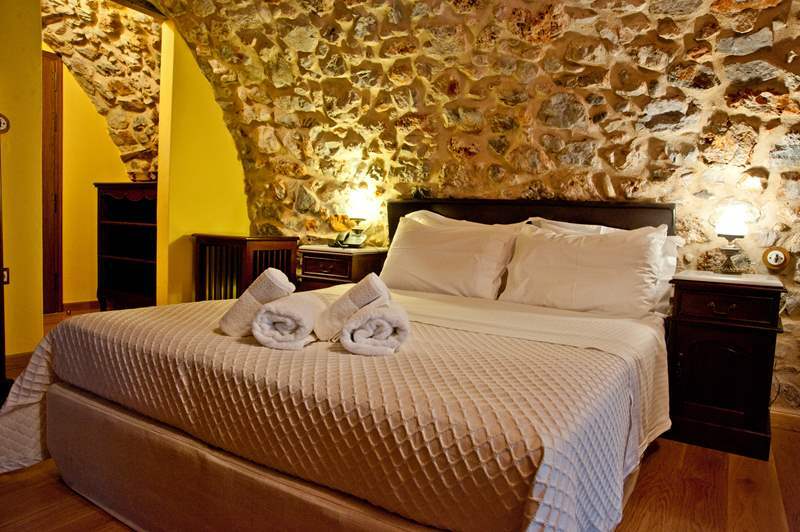 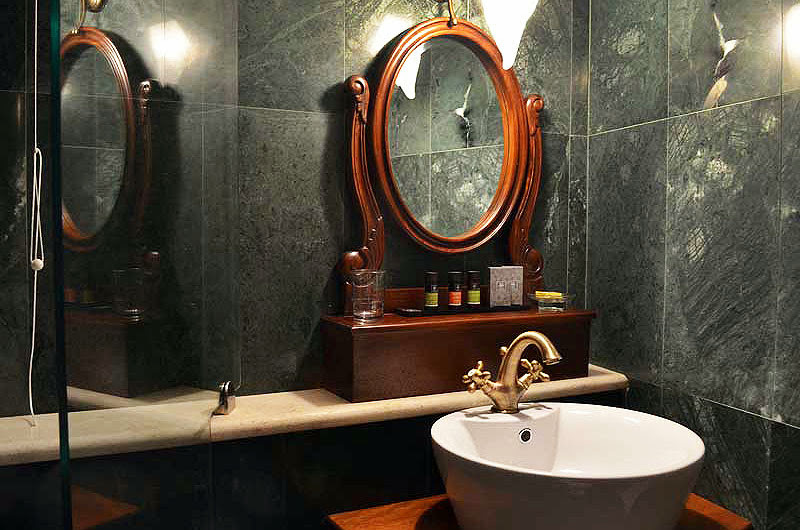 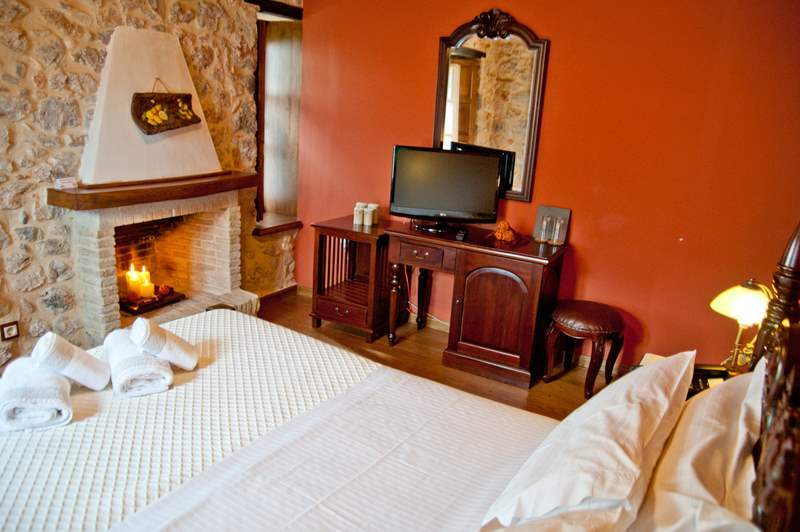 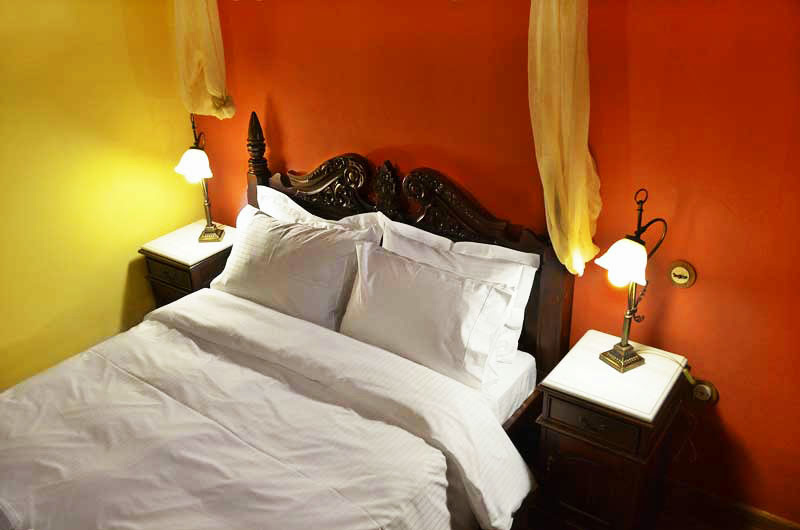 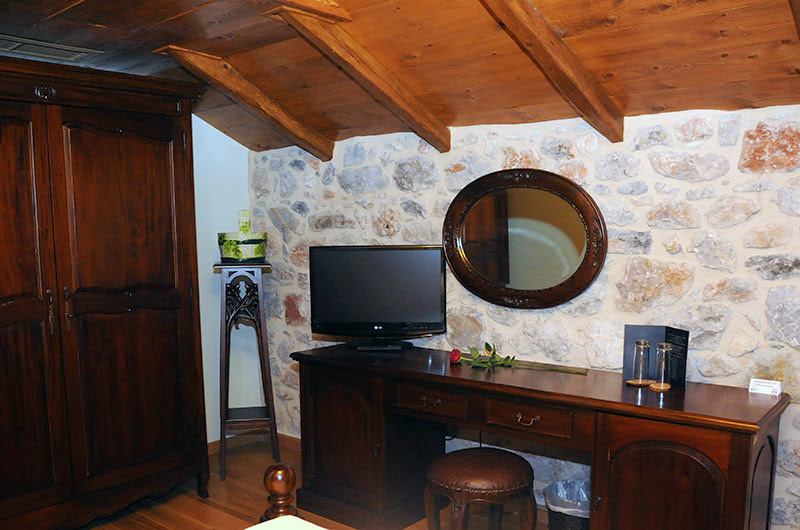 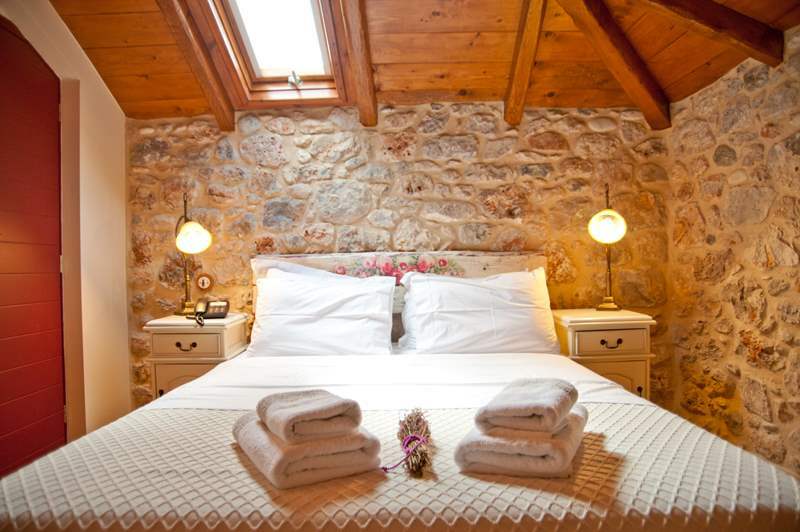 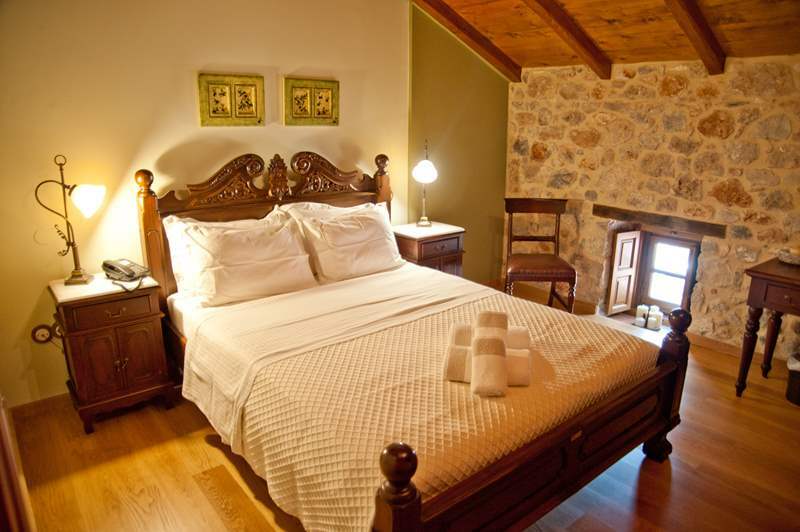 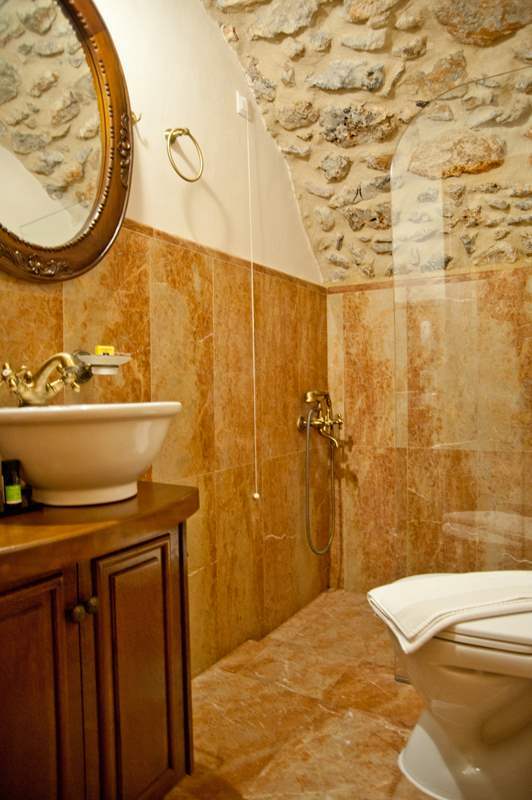 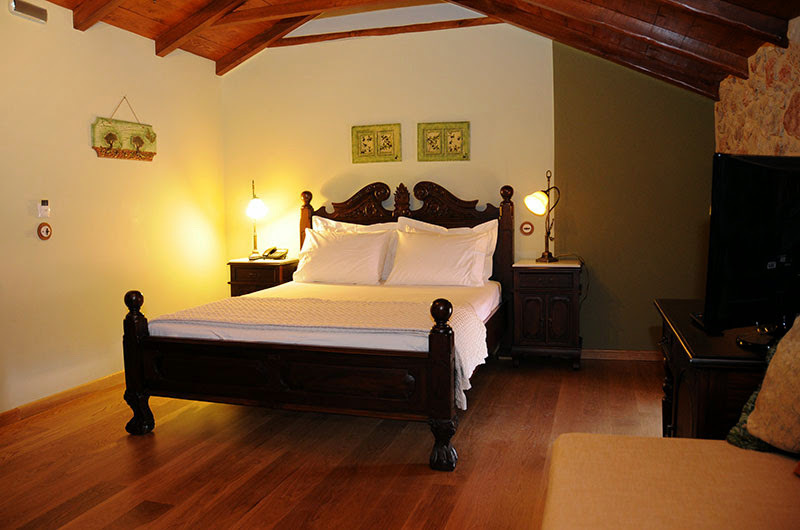 The triple rooms of the Mansion combine simple luxury with modern comfort. 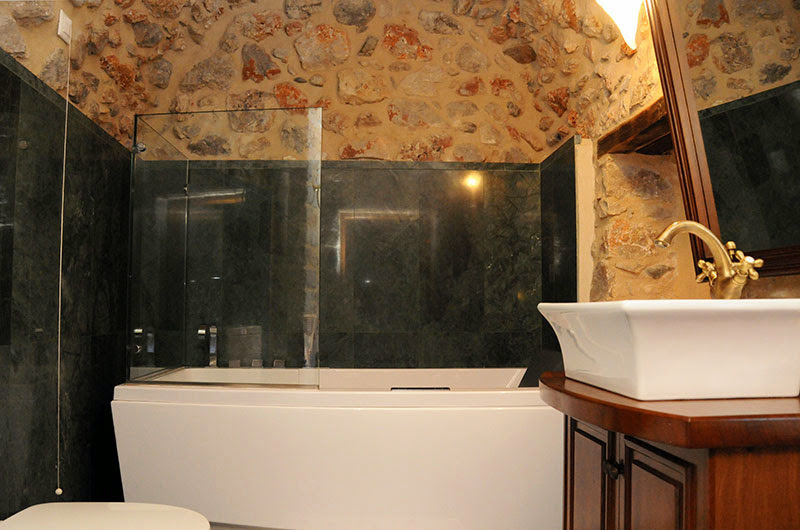 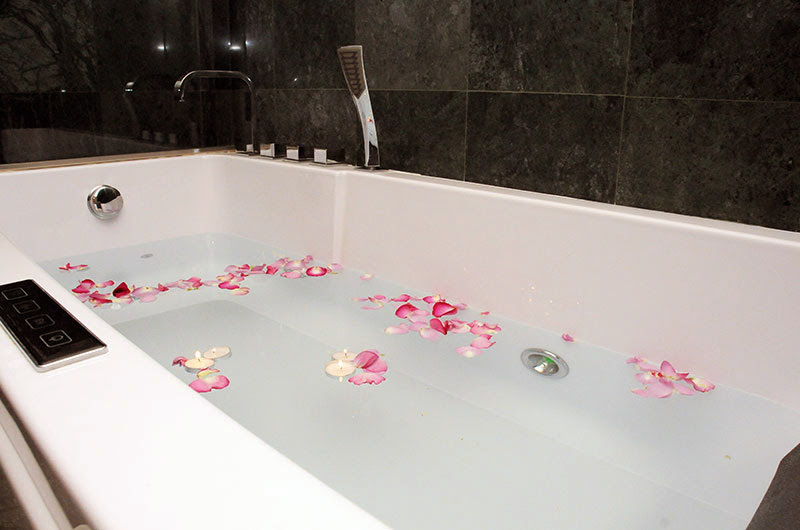 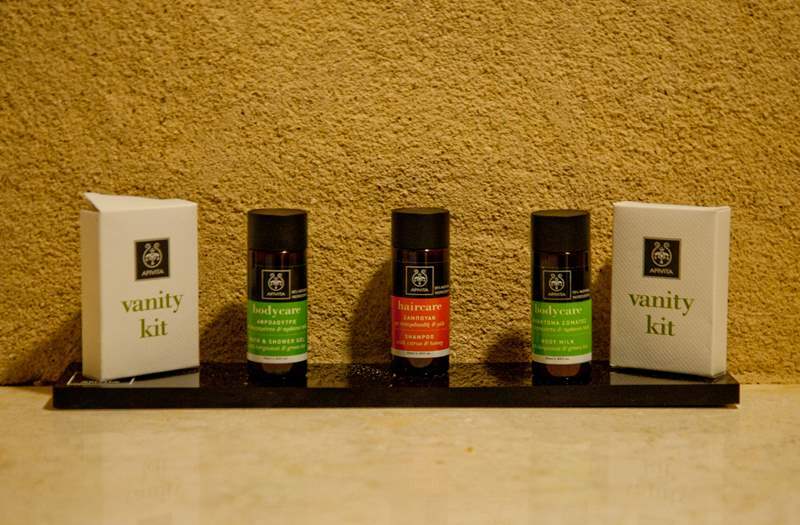 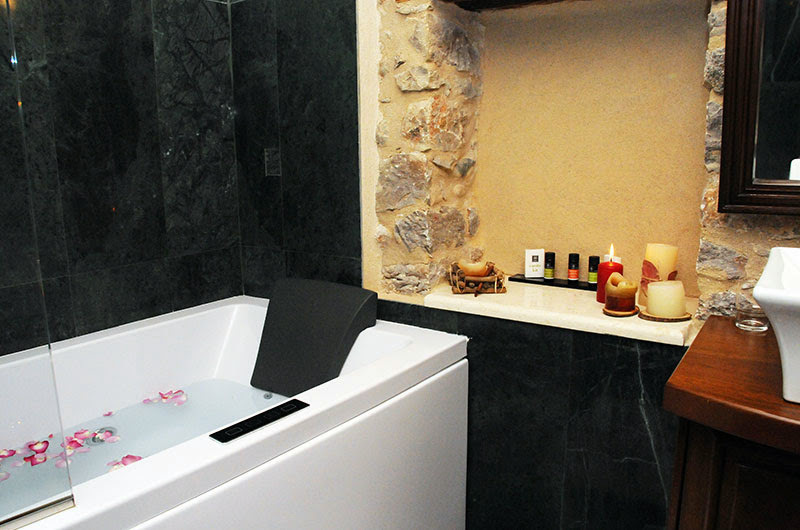 They are equipped with Coco-Mat mattresses and Guy Laroche linen for an enjoyable and relaxing sleep while in their deluxe baths guests will find cosmetics from the known brand Apivita. 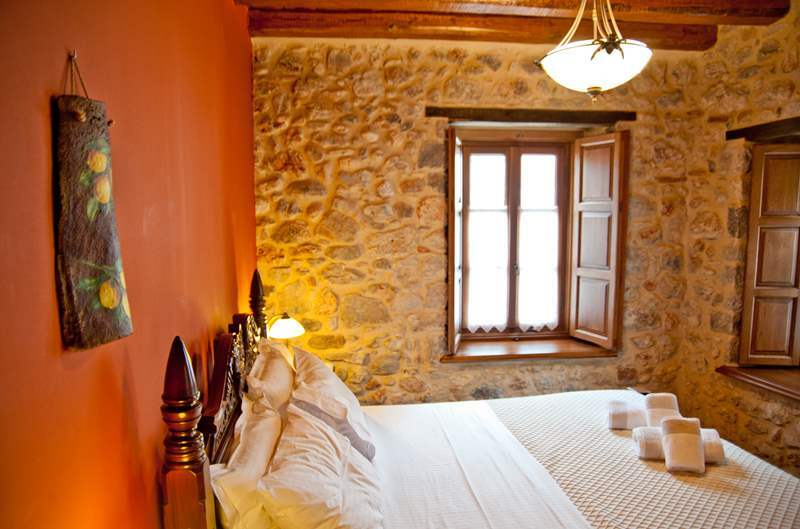 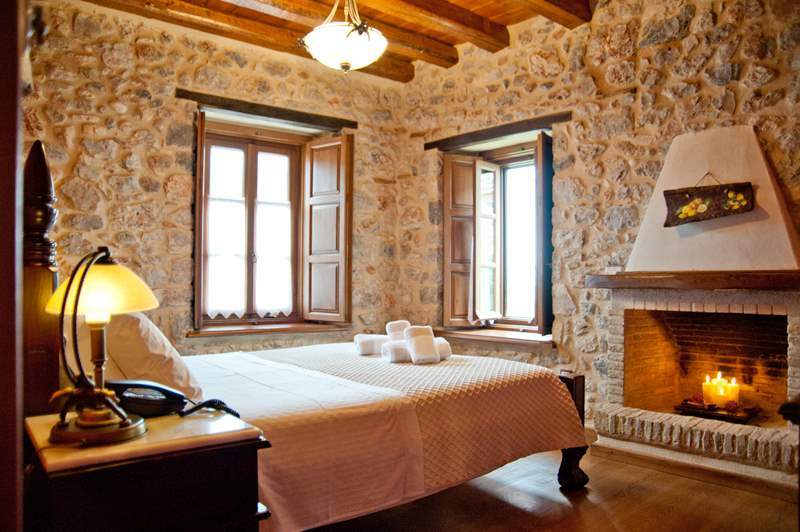 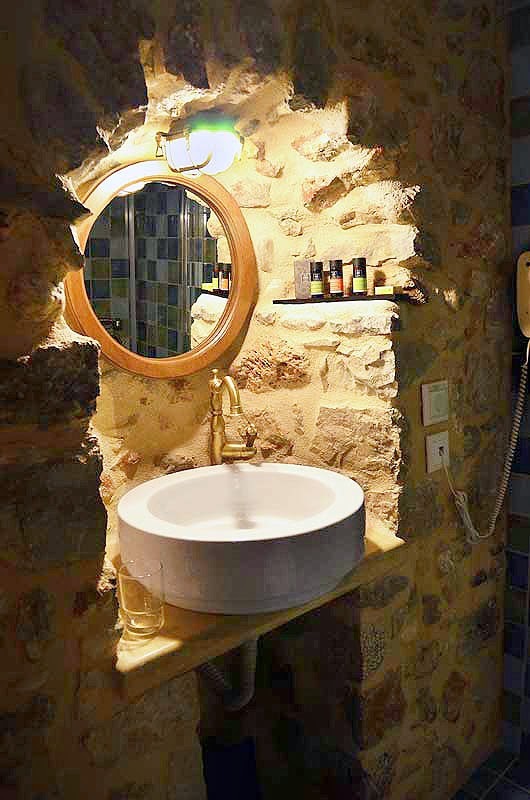 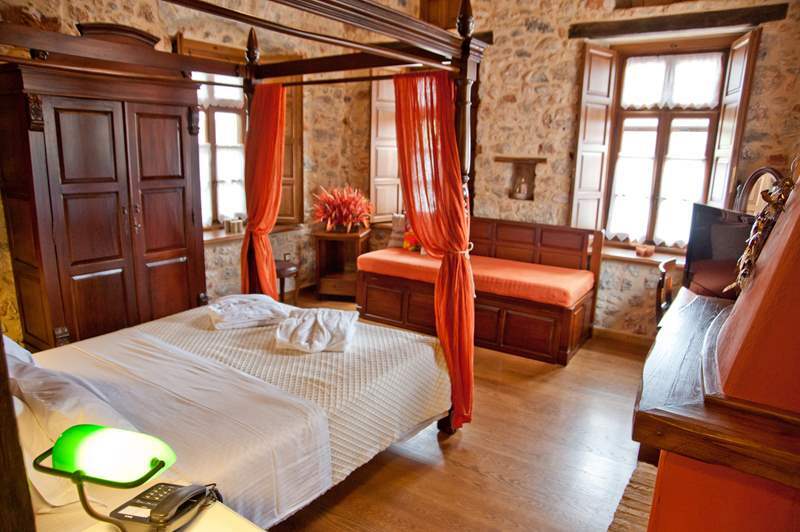 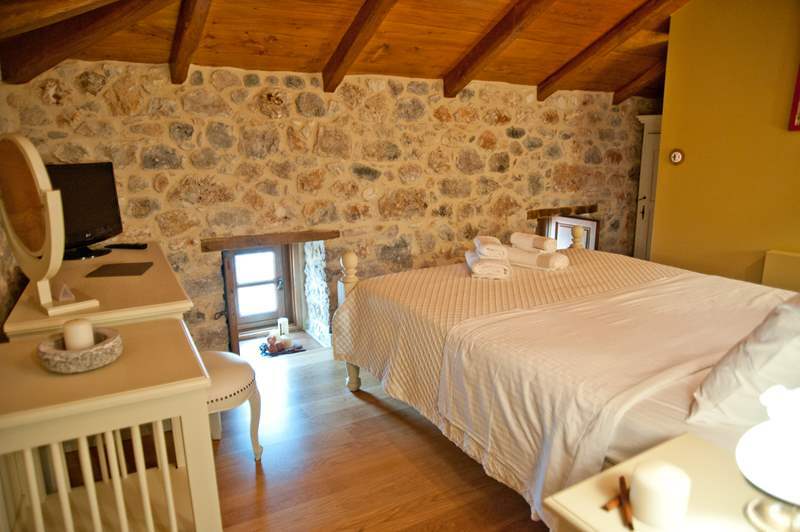 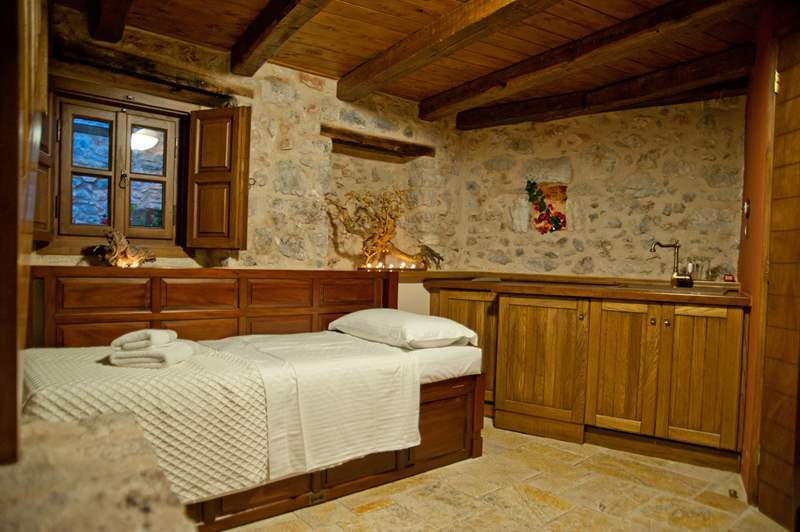 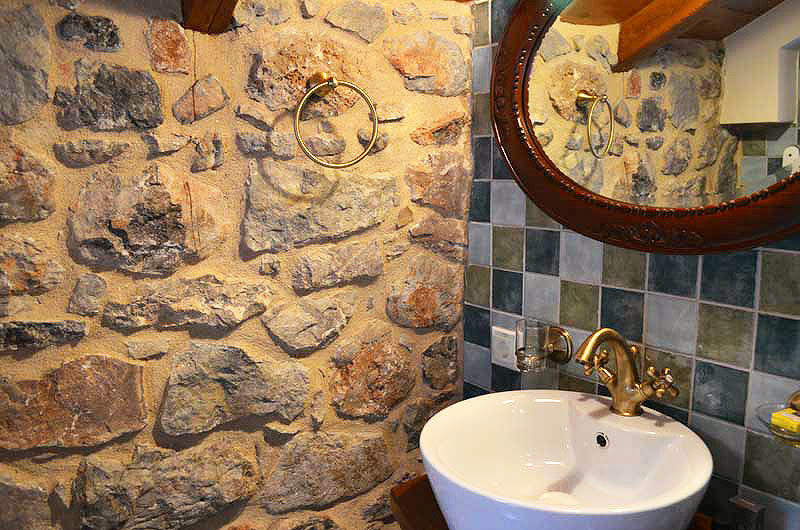 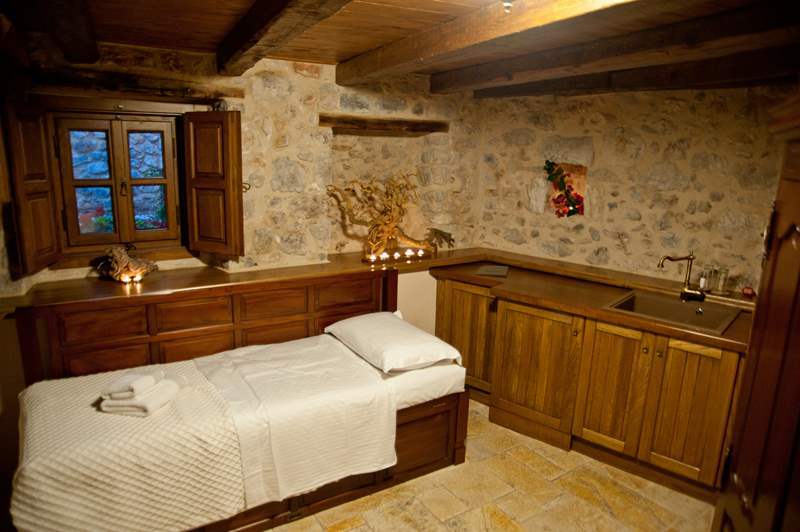 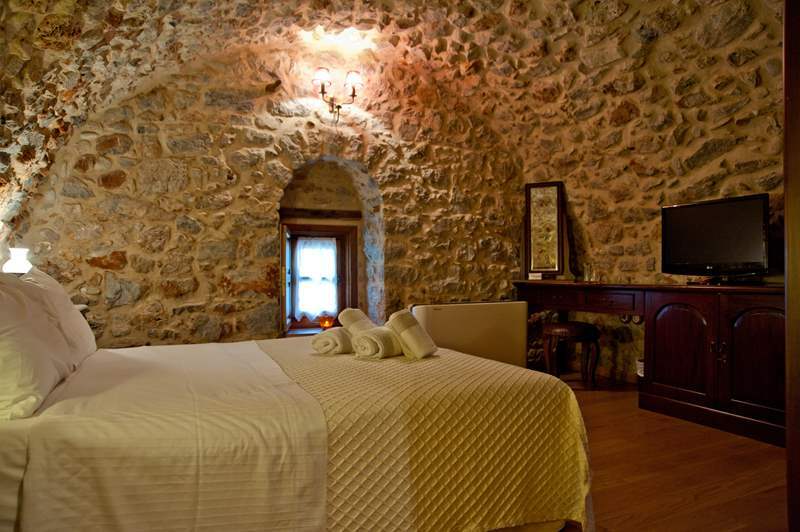 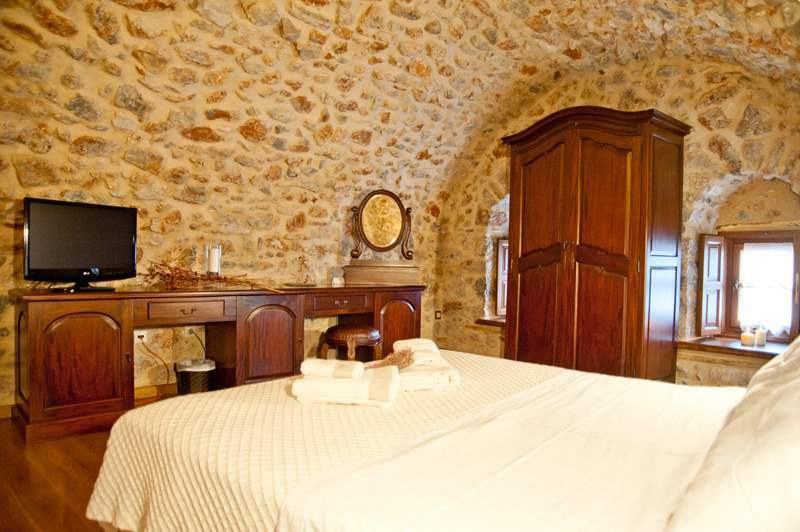 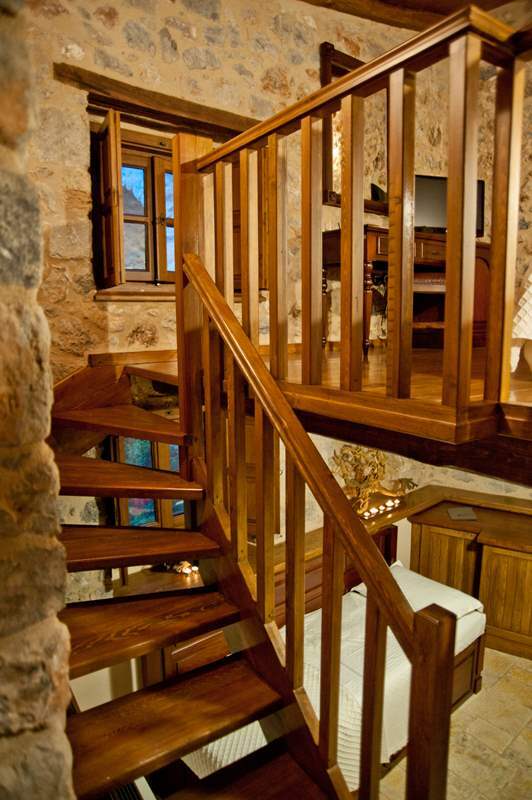 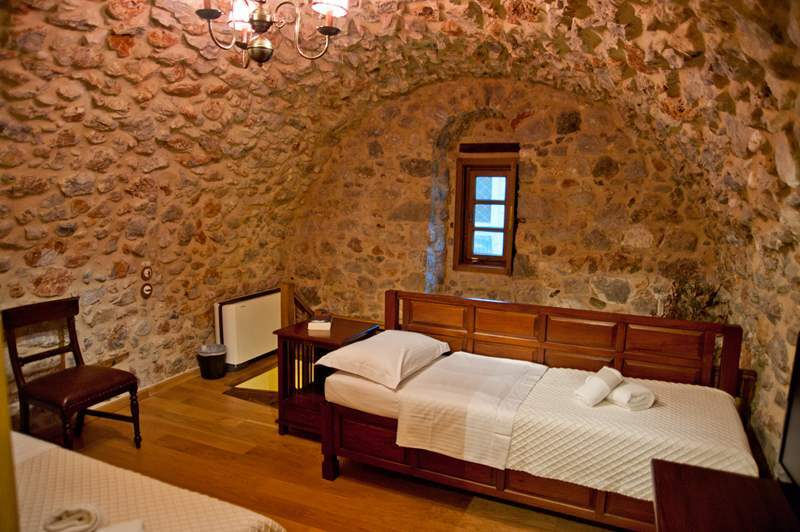 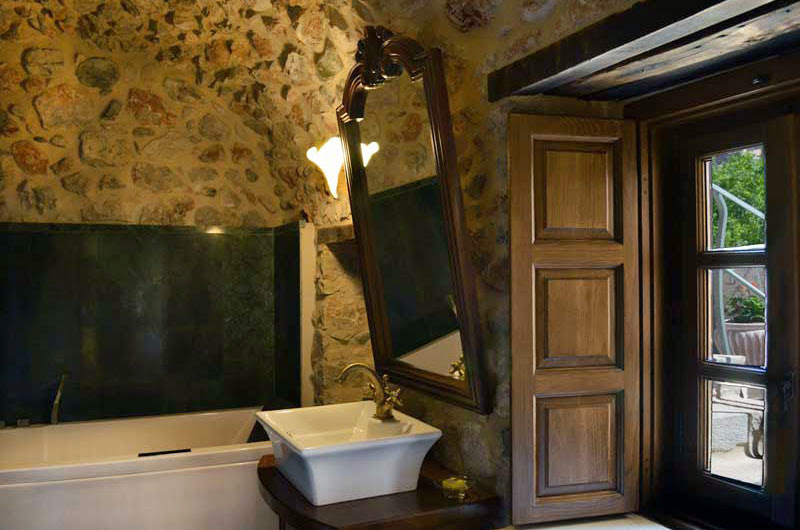 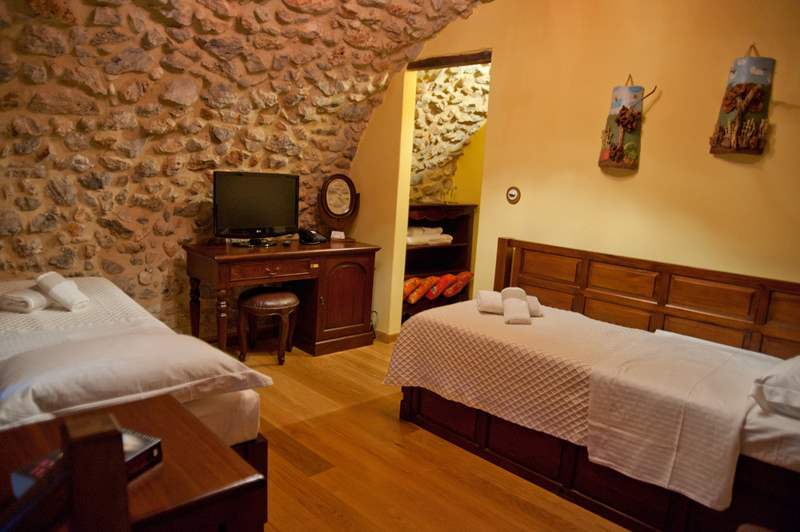 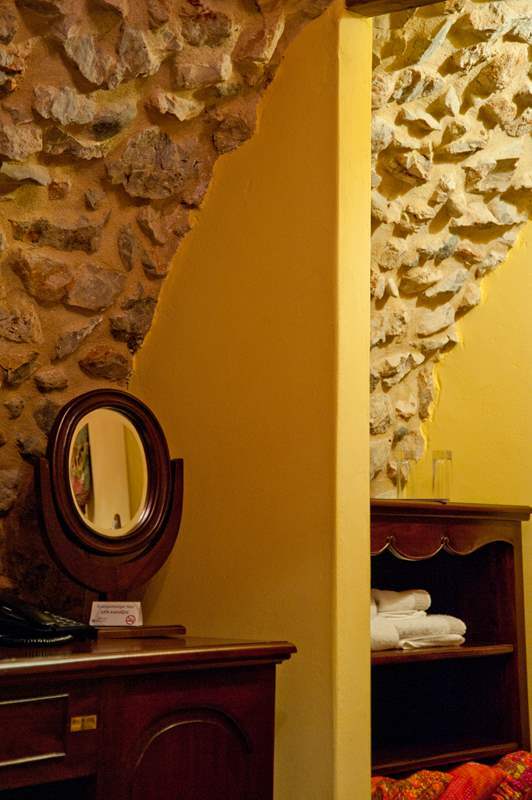 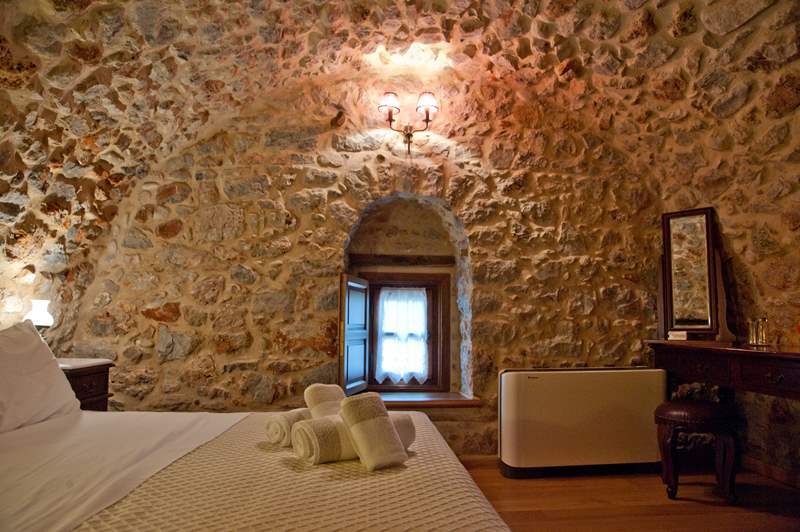 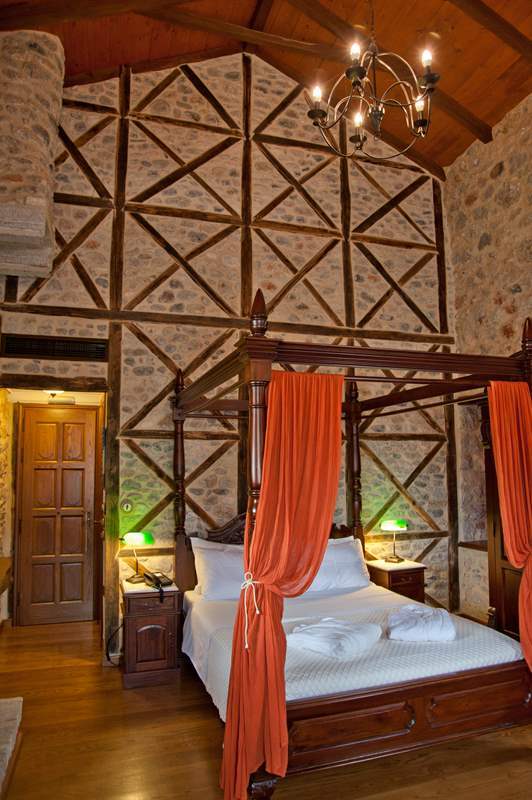 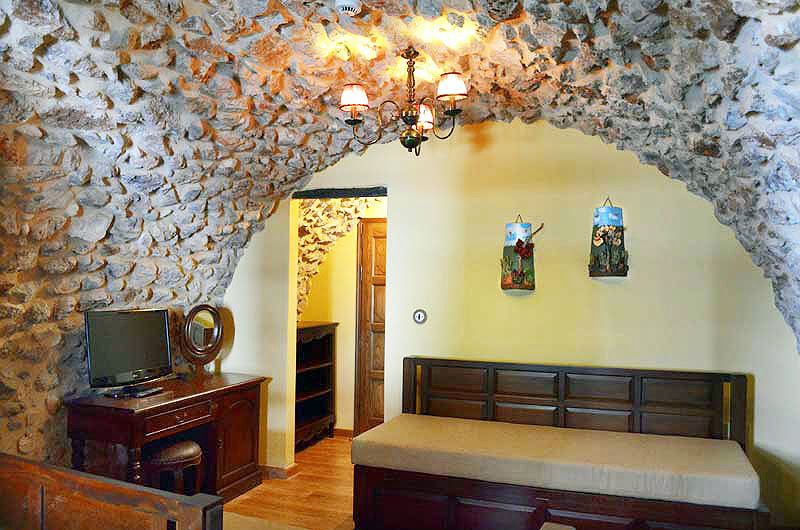 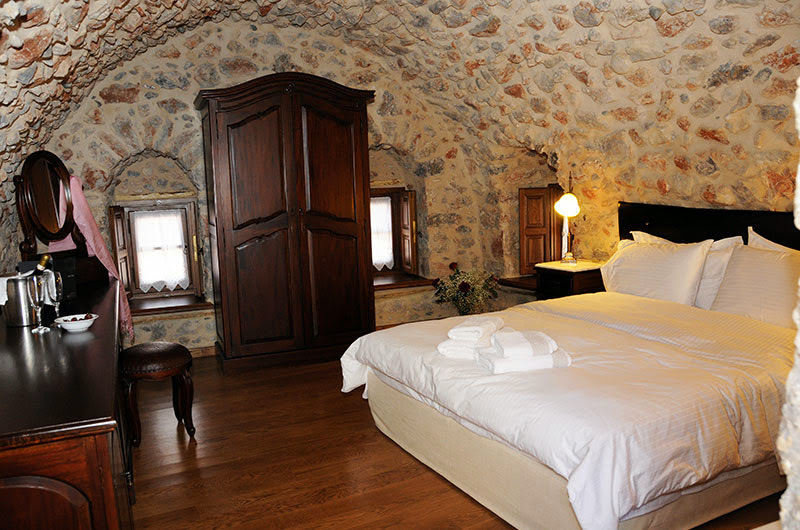 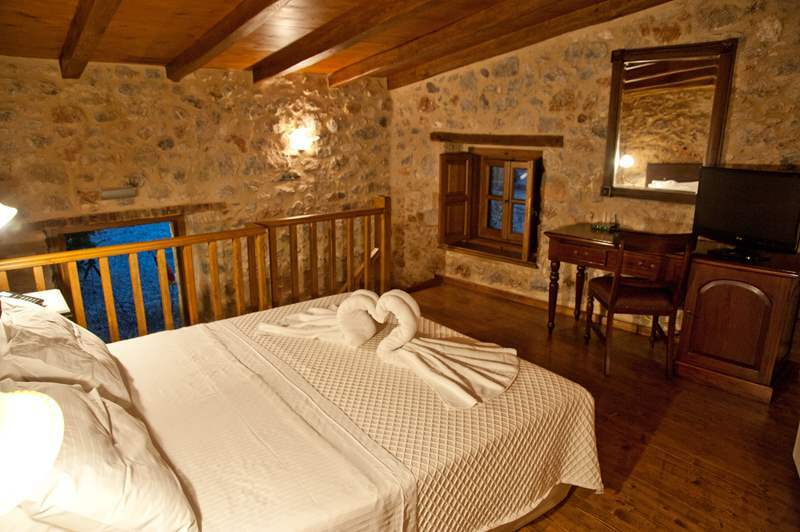 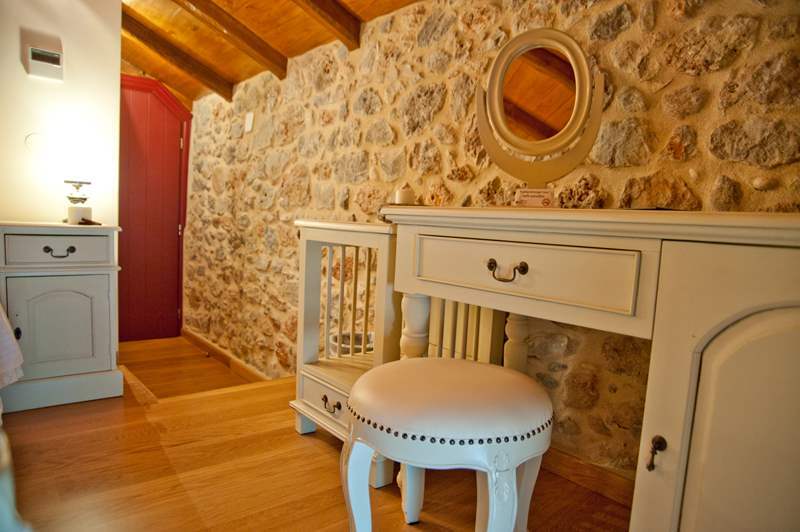 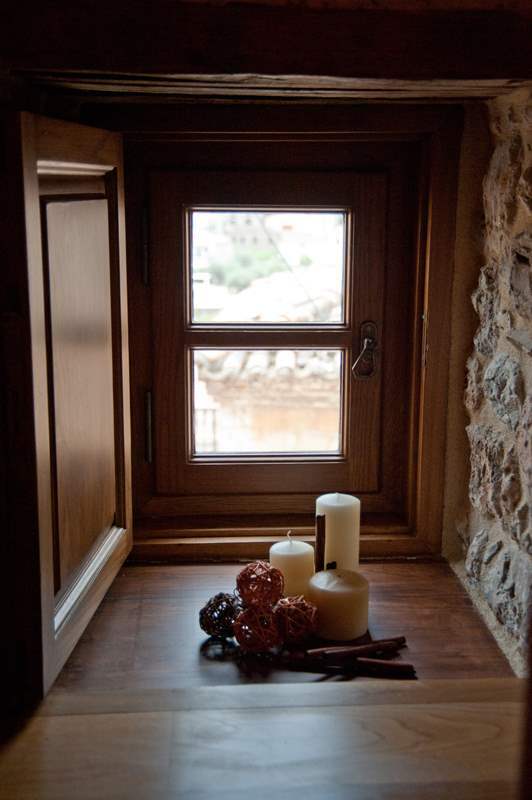 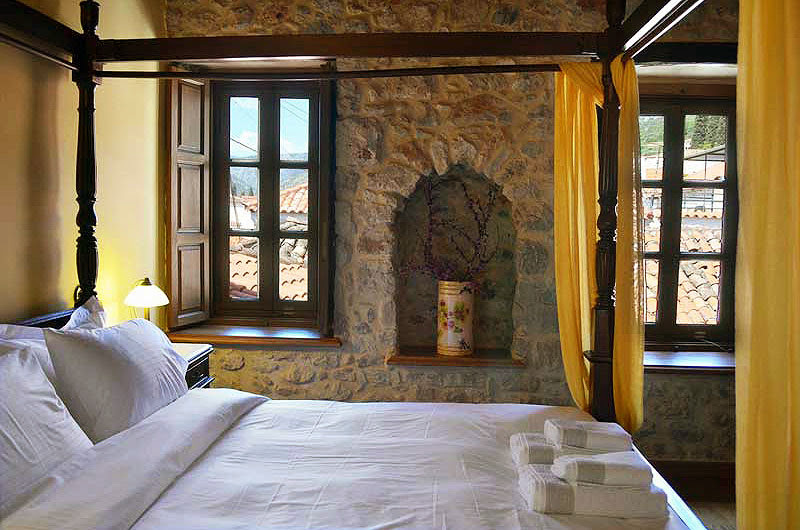 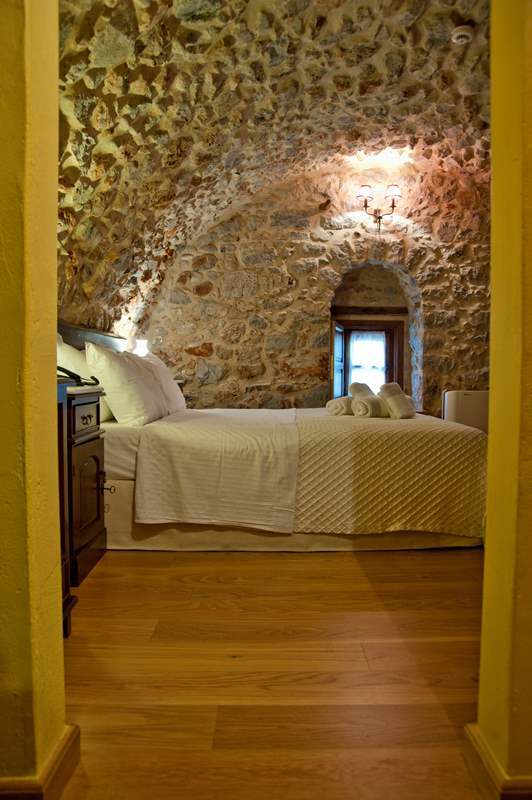 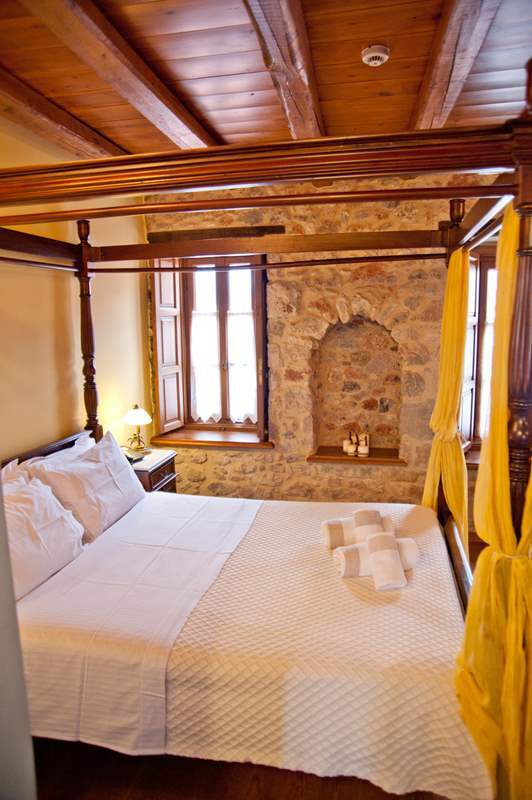 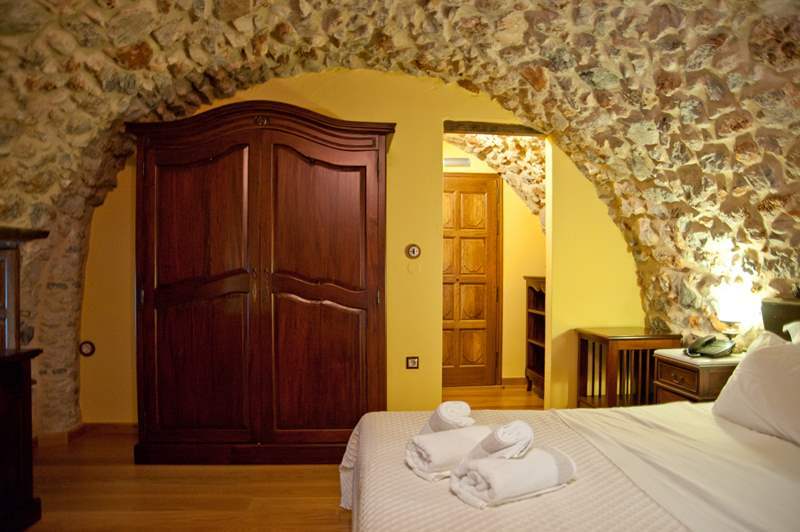 Stone, wood and arched coves dominate in these rooms. 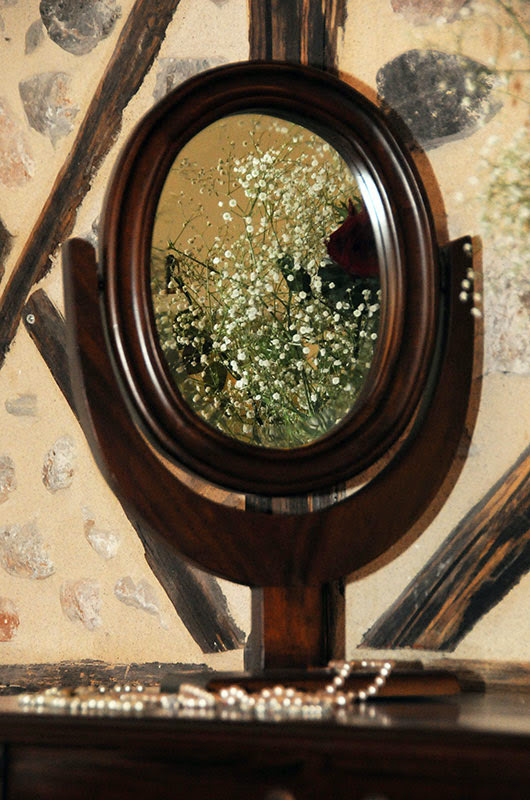 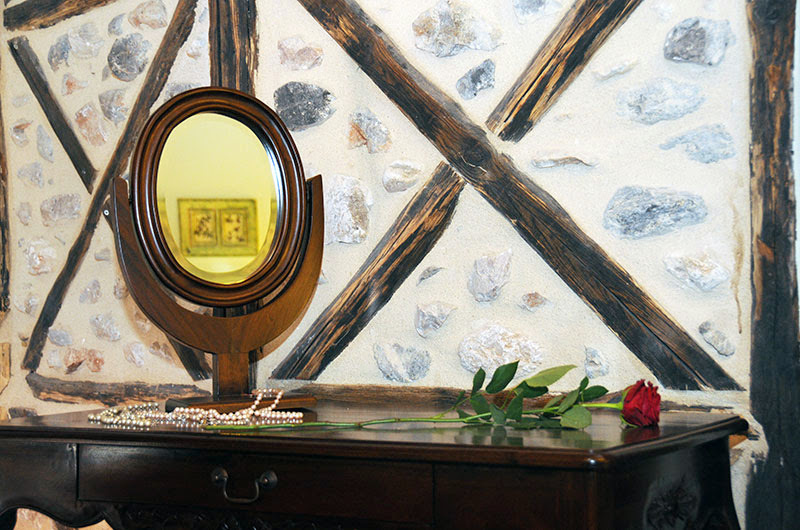 The traditional and comfortable furnishing and the discrete decoration provide a hospitable environment. 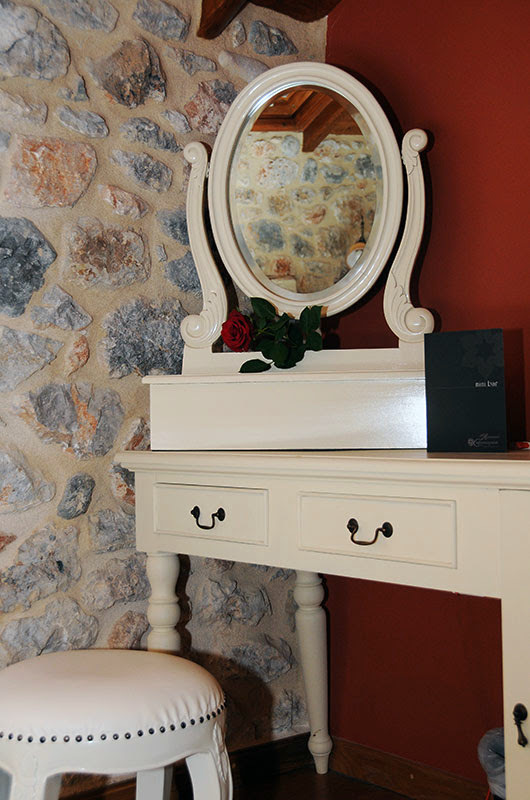 King-size beds, relaxing Coco-Mat mattresses, elegant Guy Laroche linen and perfect quality Apivita cosmetics, will offer you an unforgettable stay. 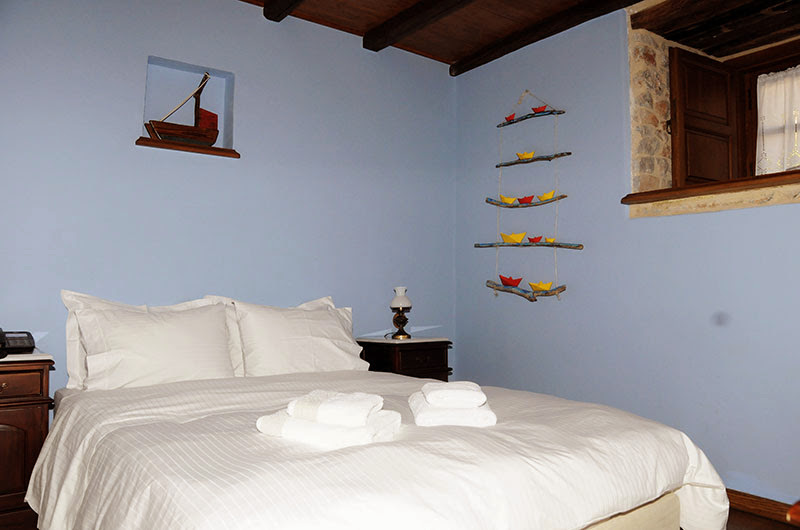 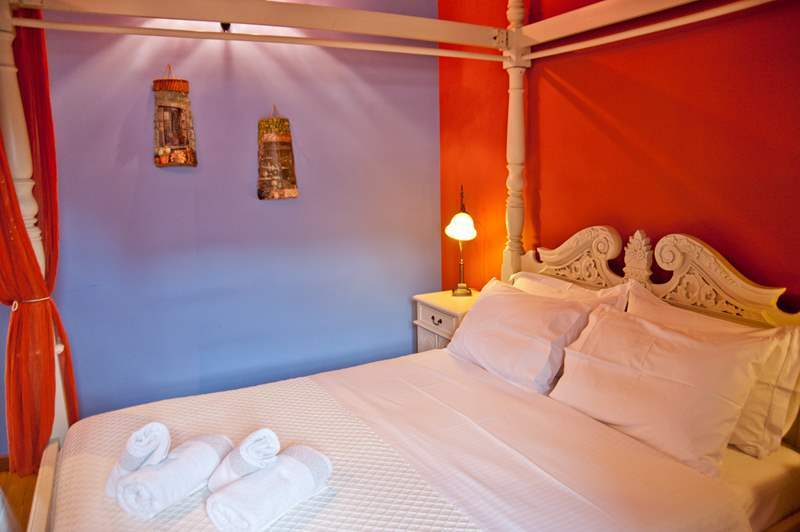 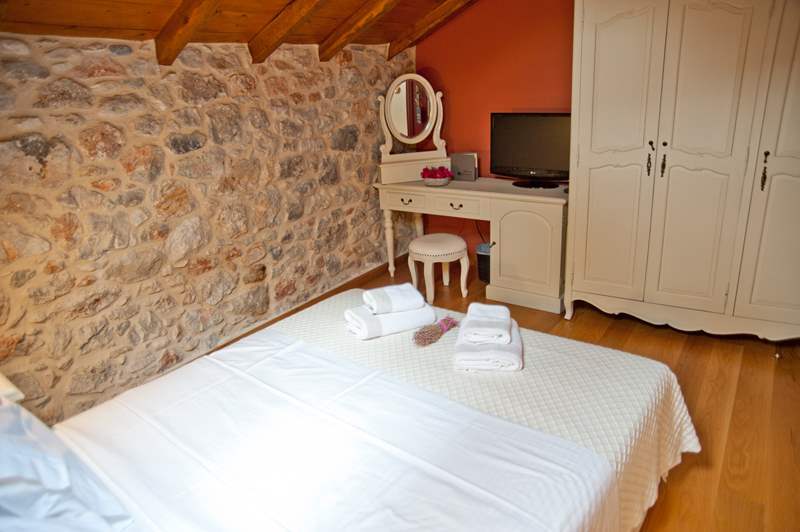 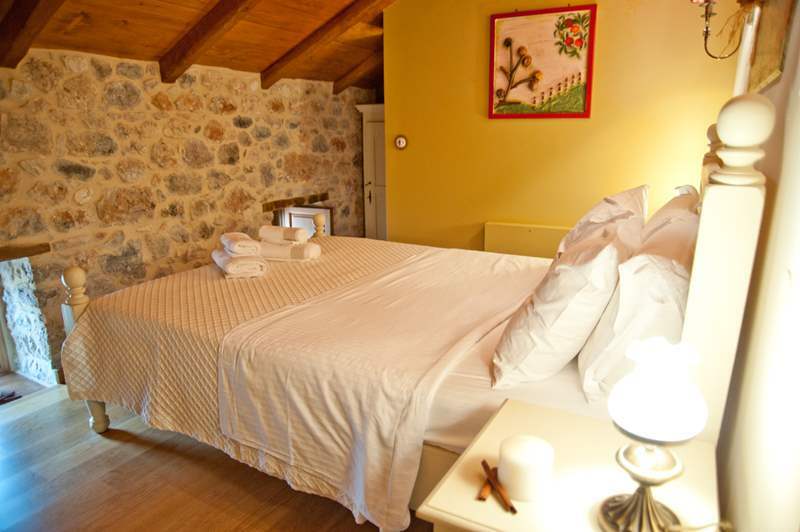 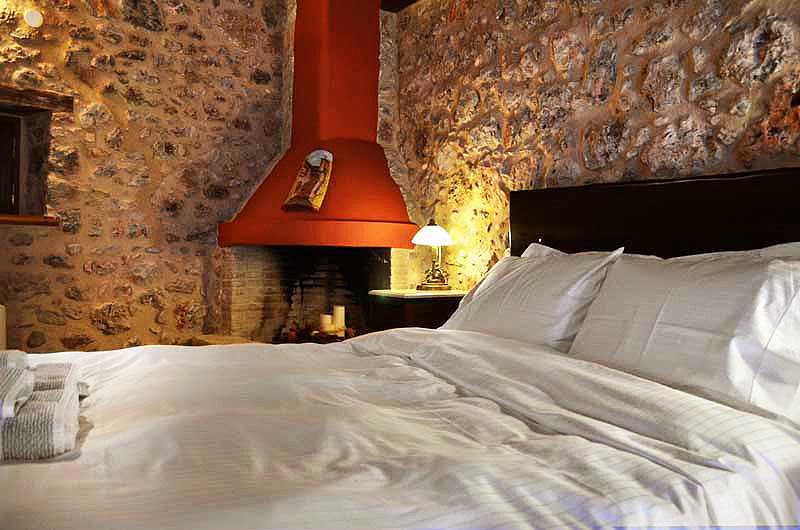 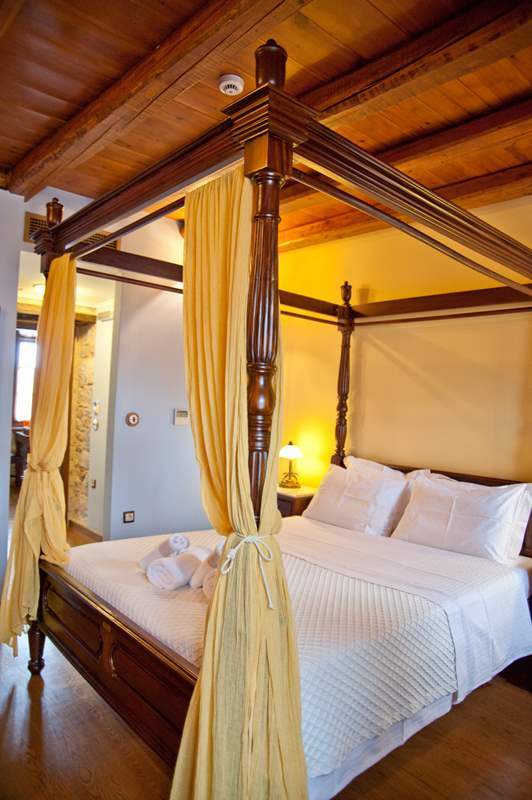 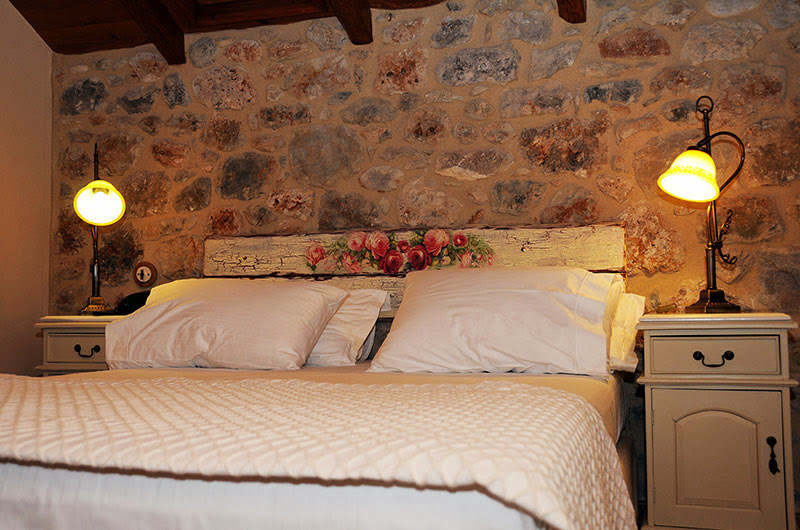 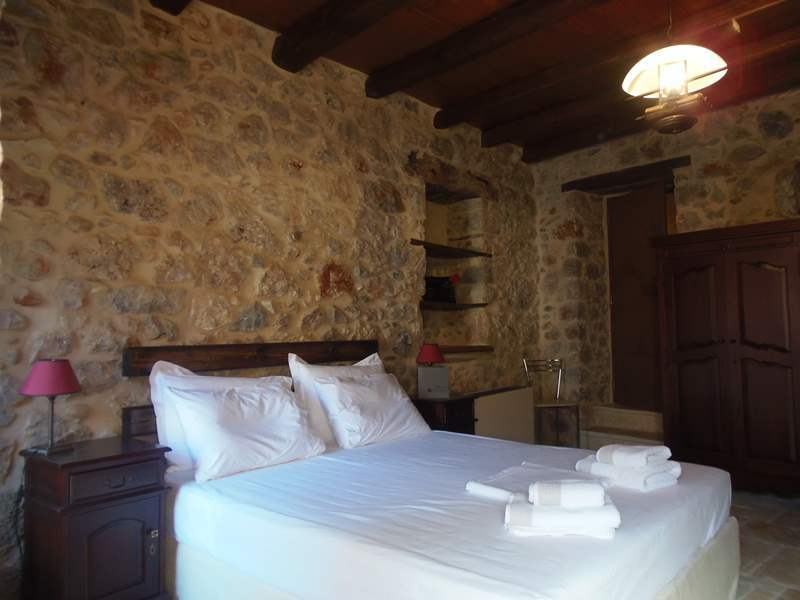 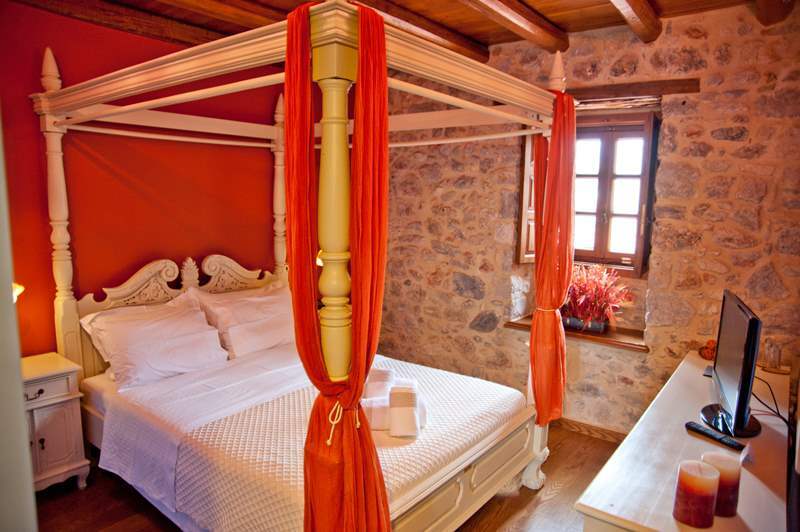 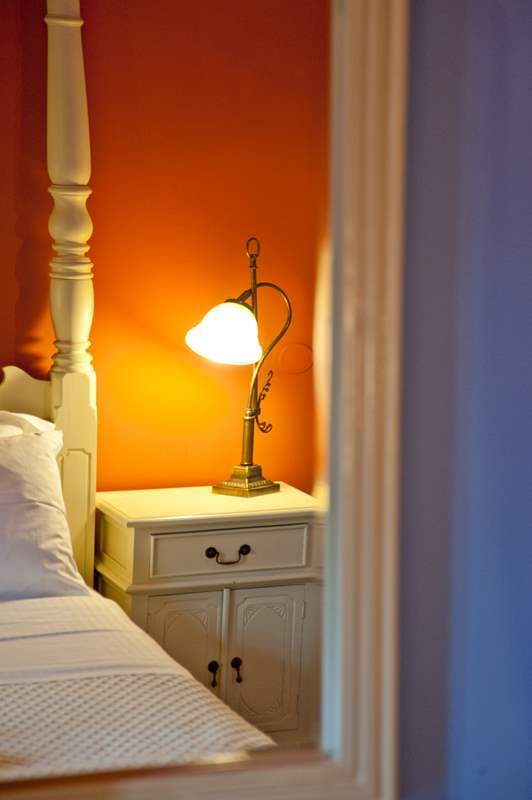 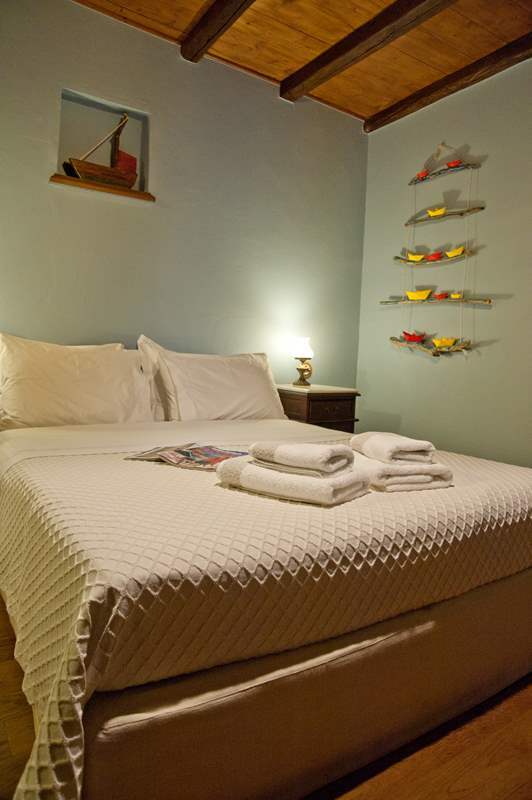 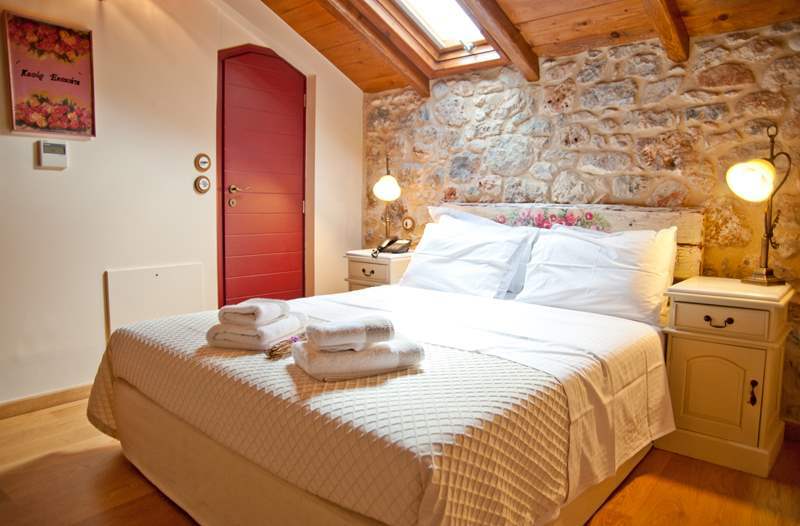 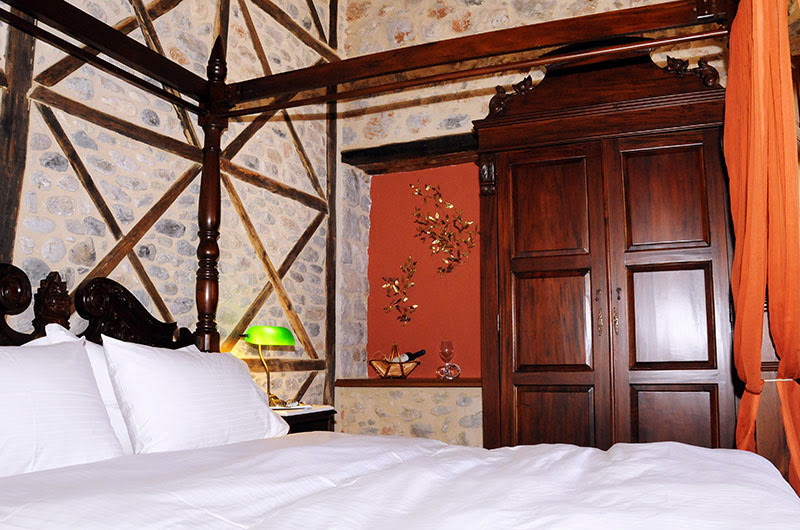 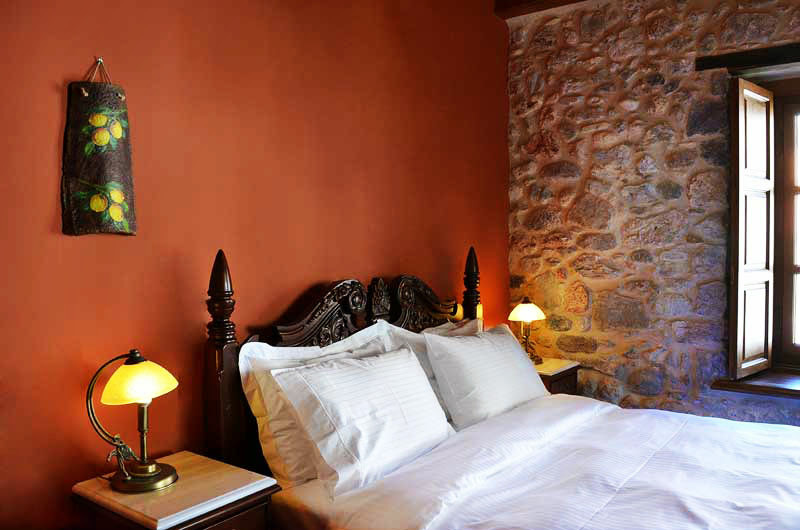 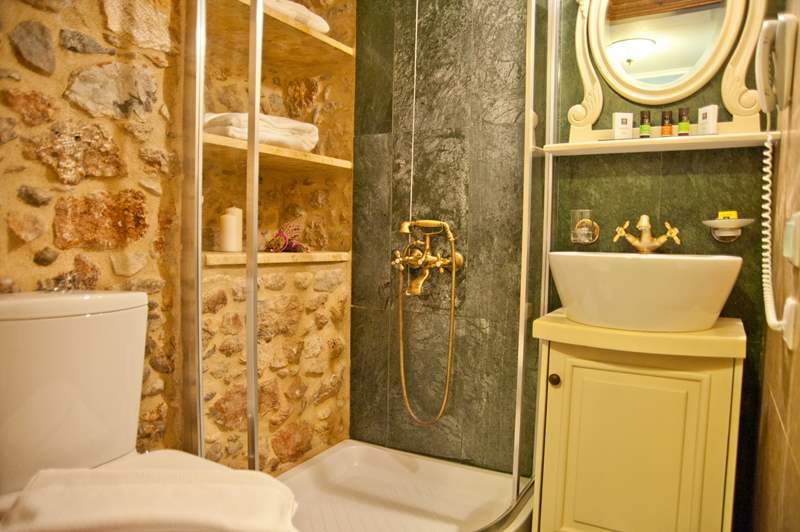 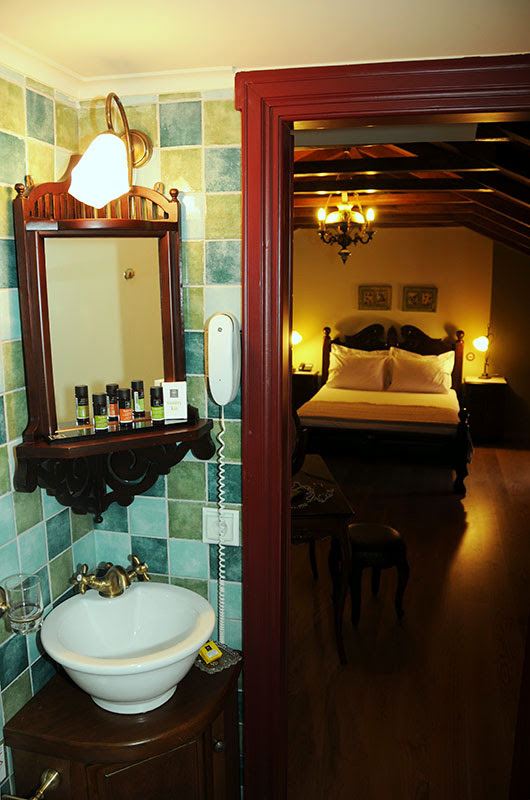 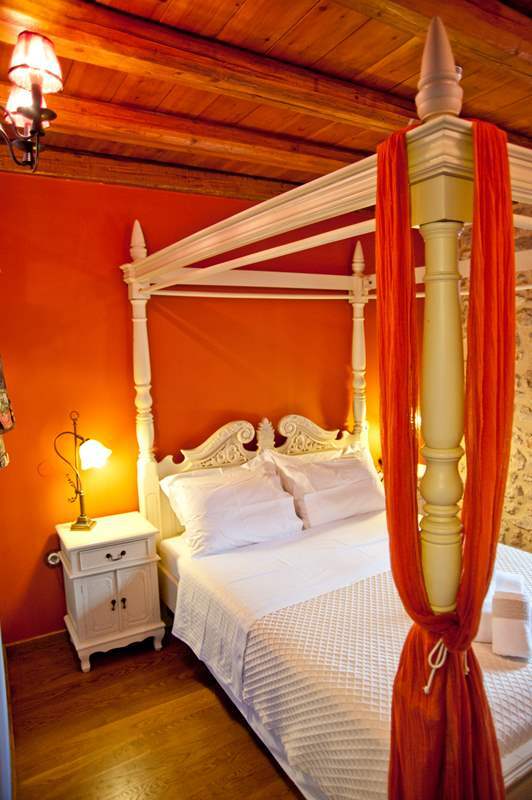 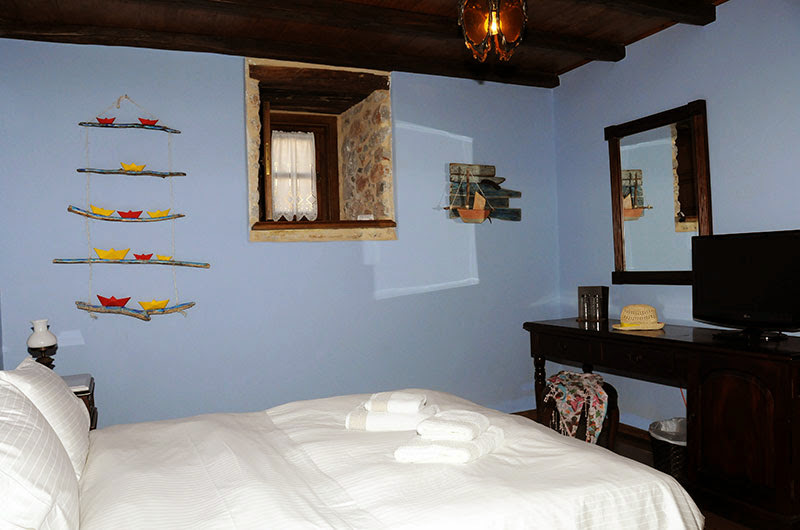 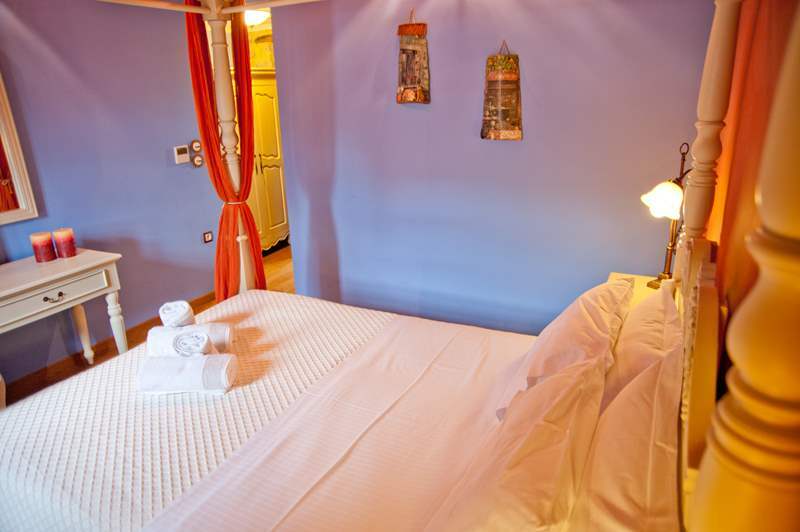 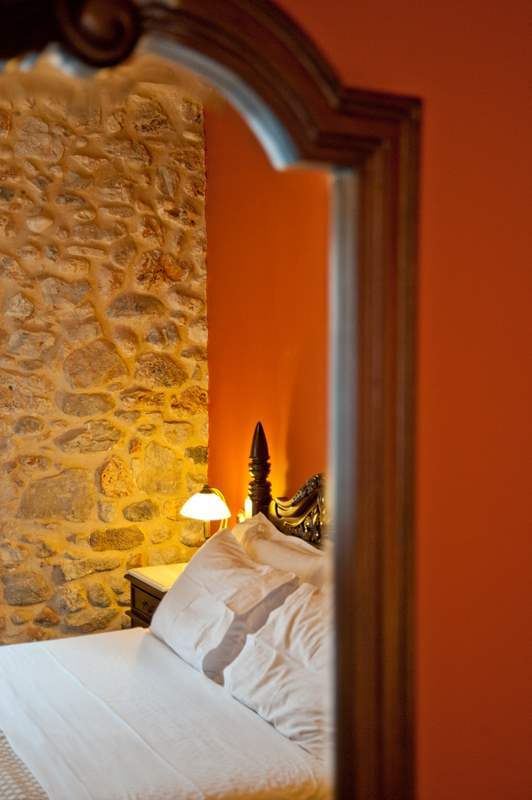 The single room is equipped with a hand-made metal bed, Coco-Mat mattress, Guy Laroche linen and Apivita cosmetics. 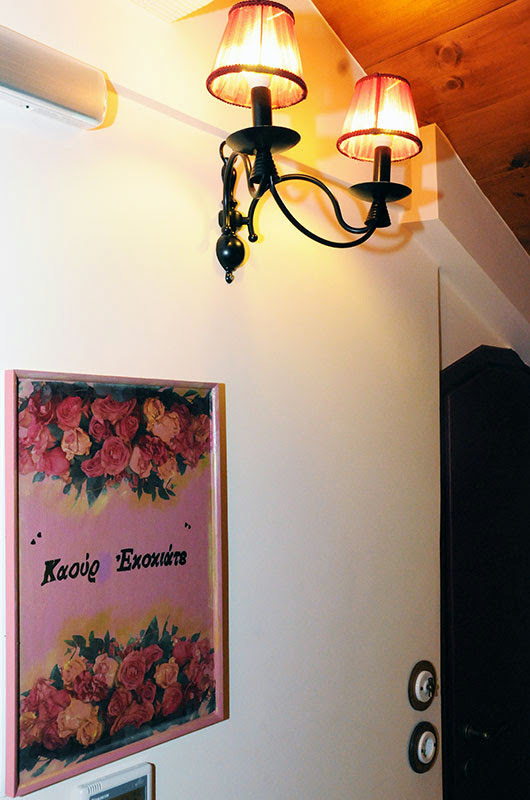 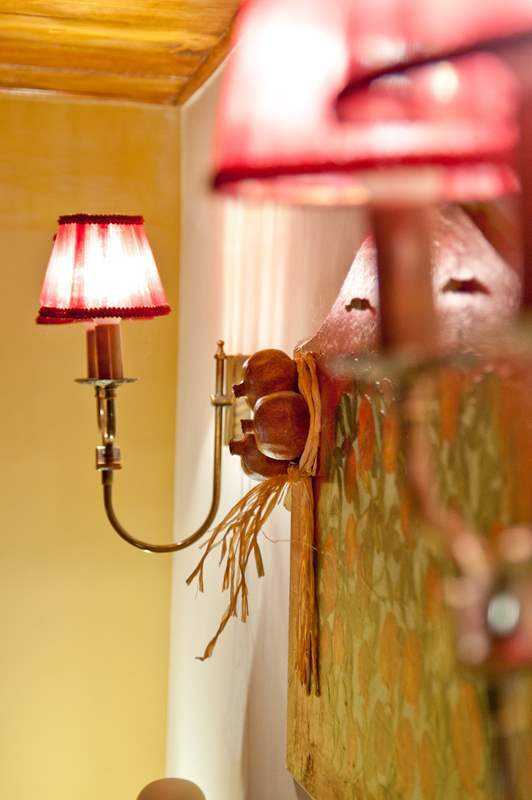 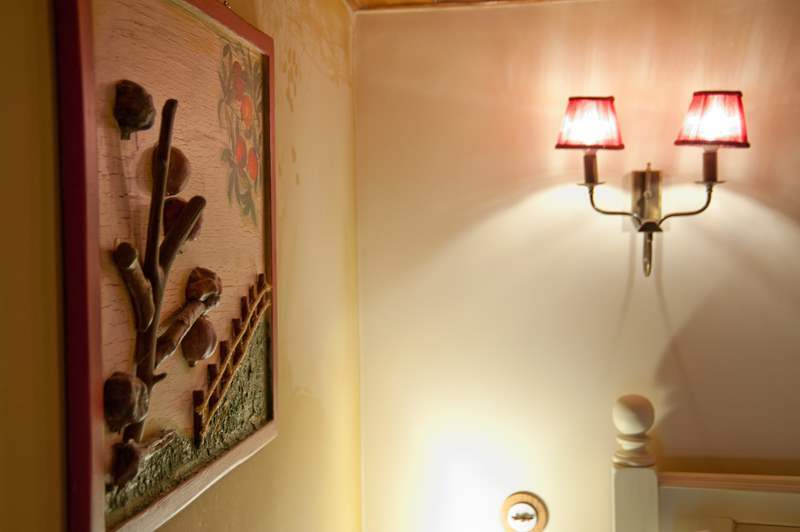 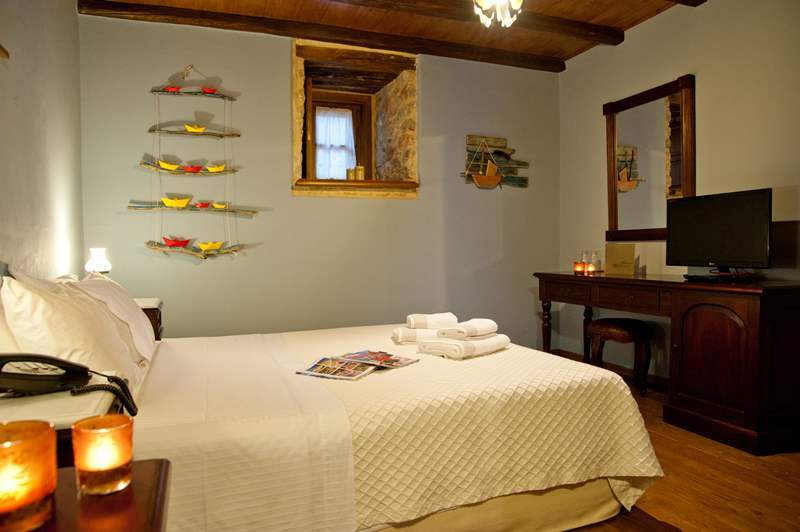 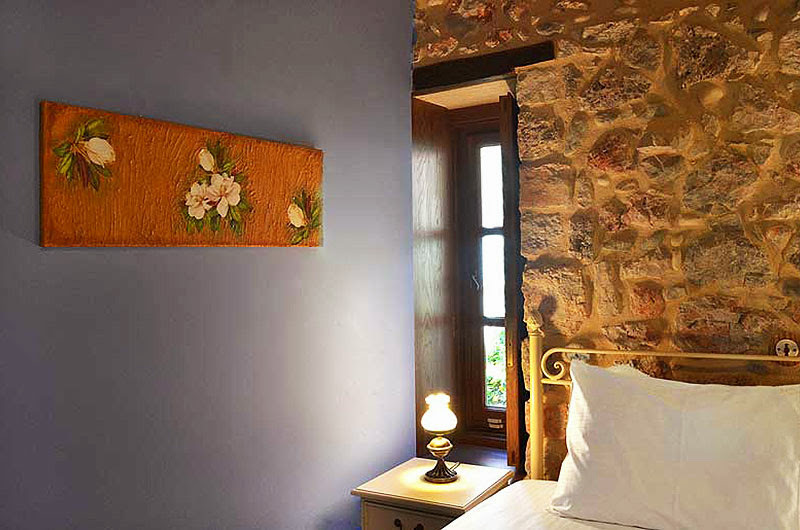 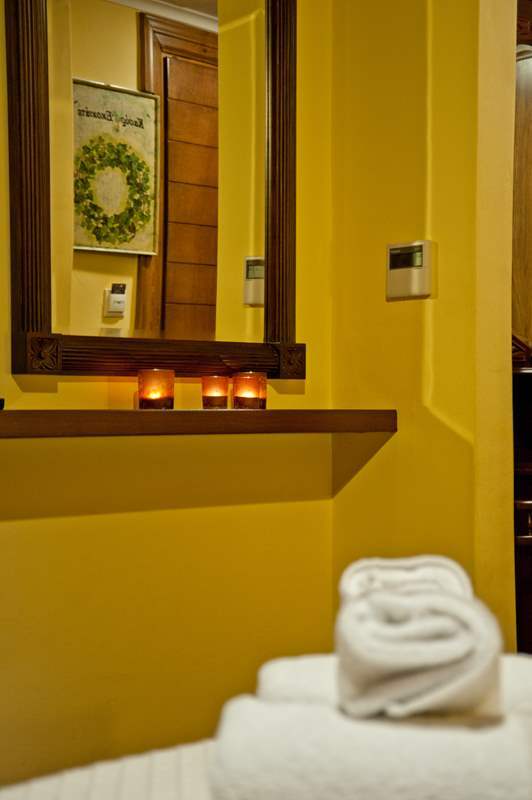 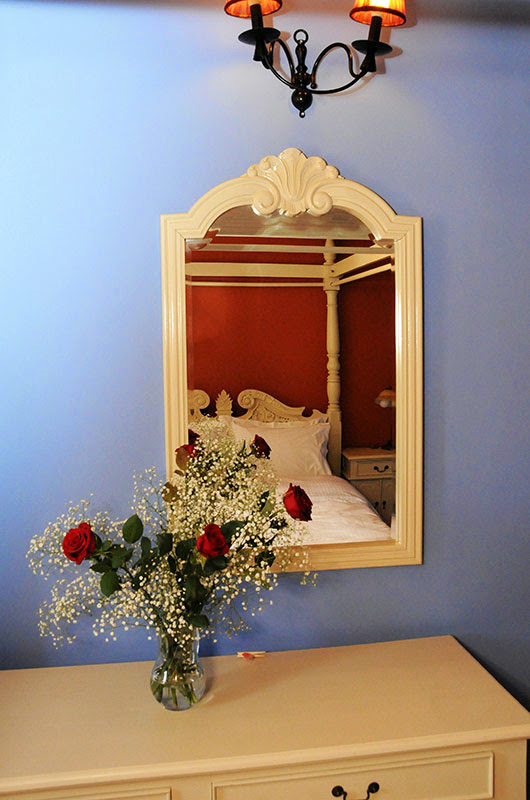 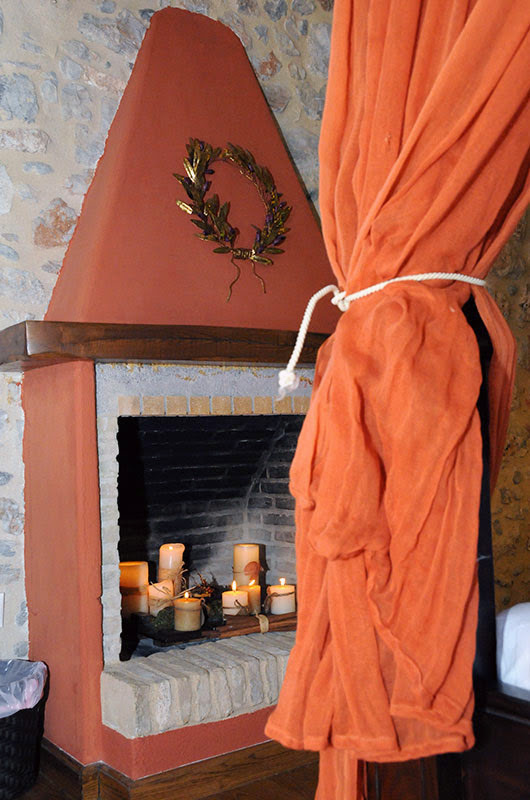 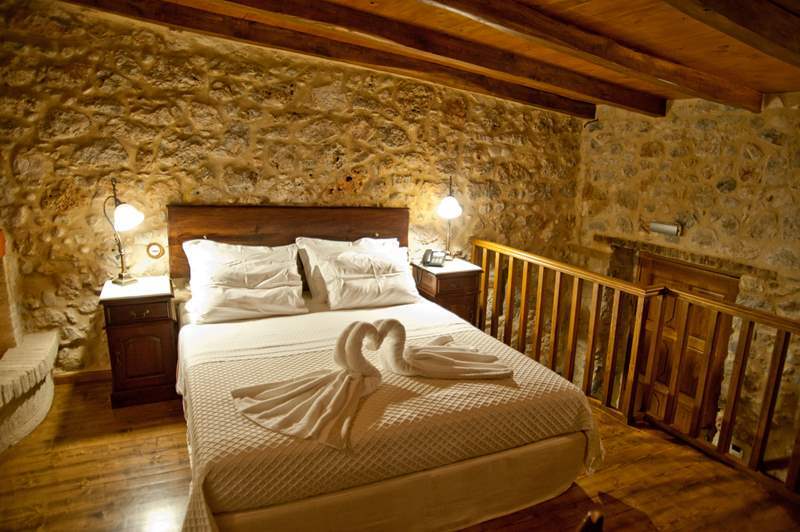 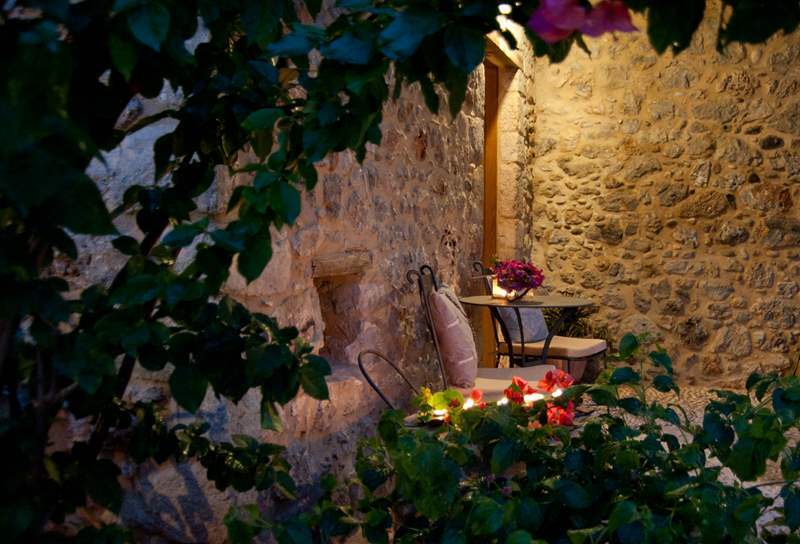 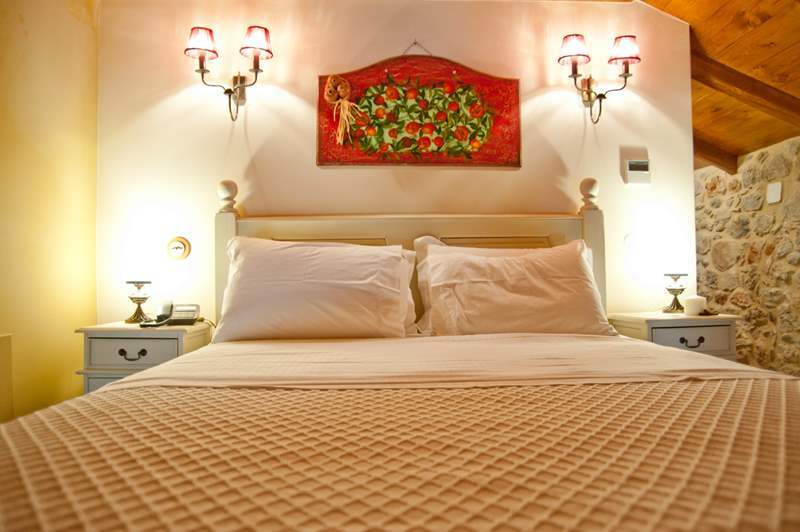 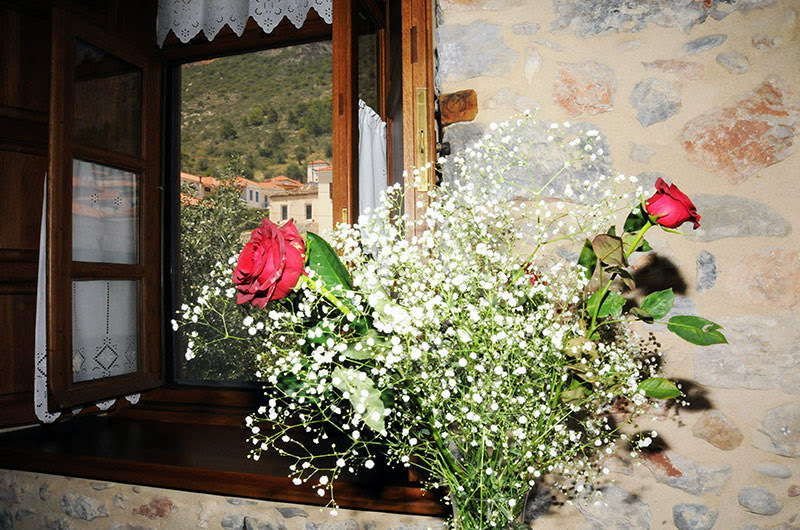 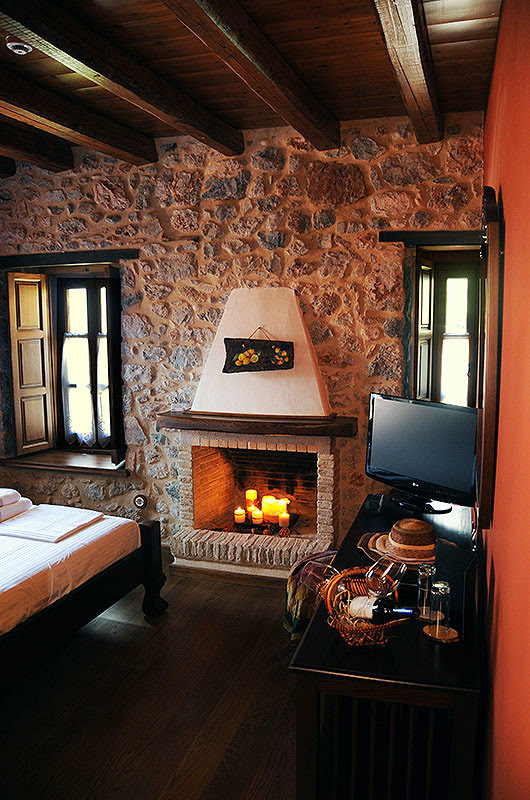 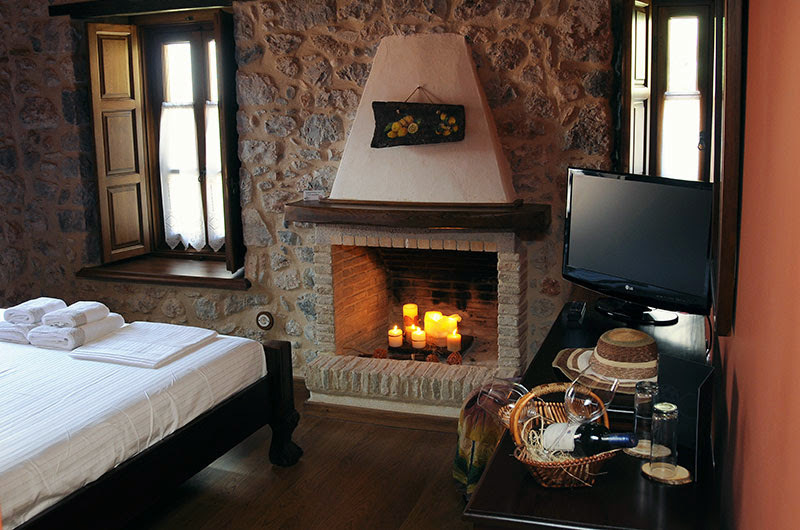 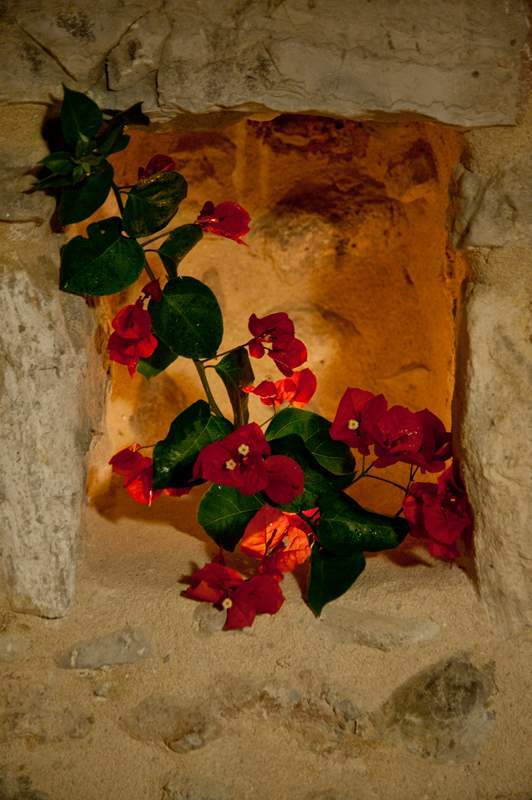 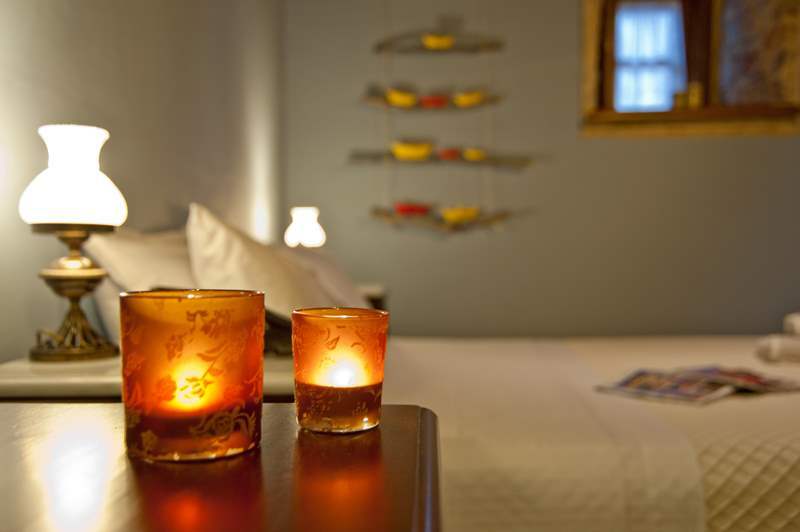 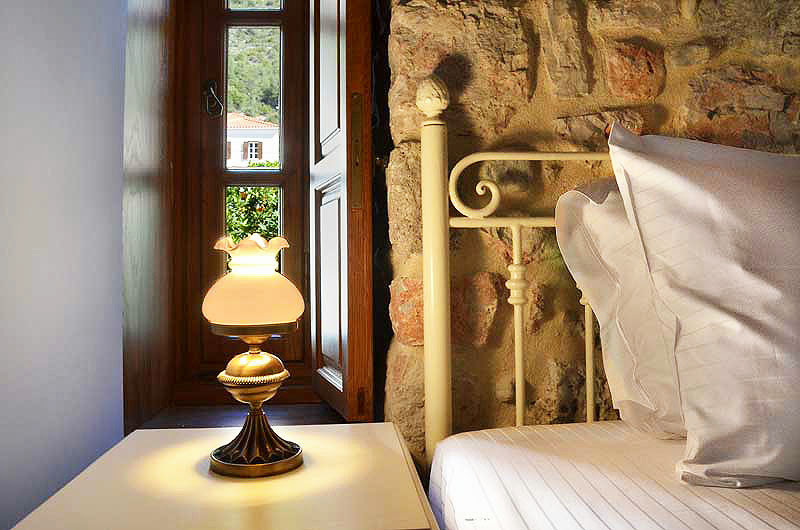 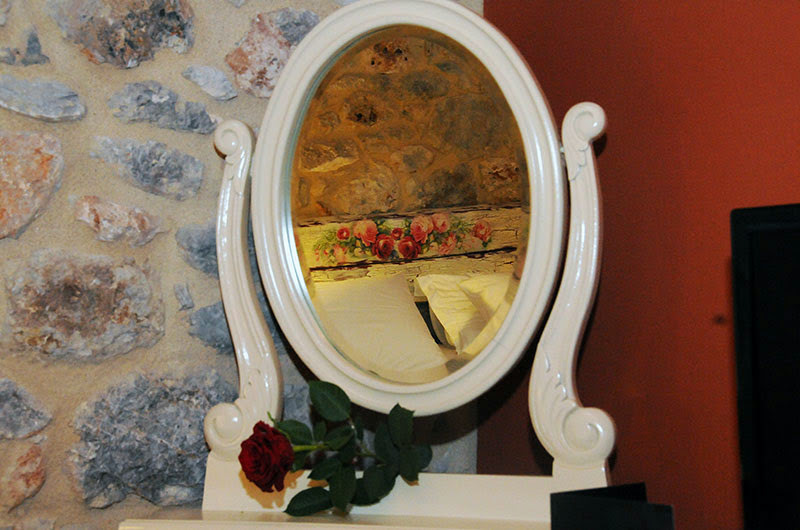 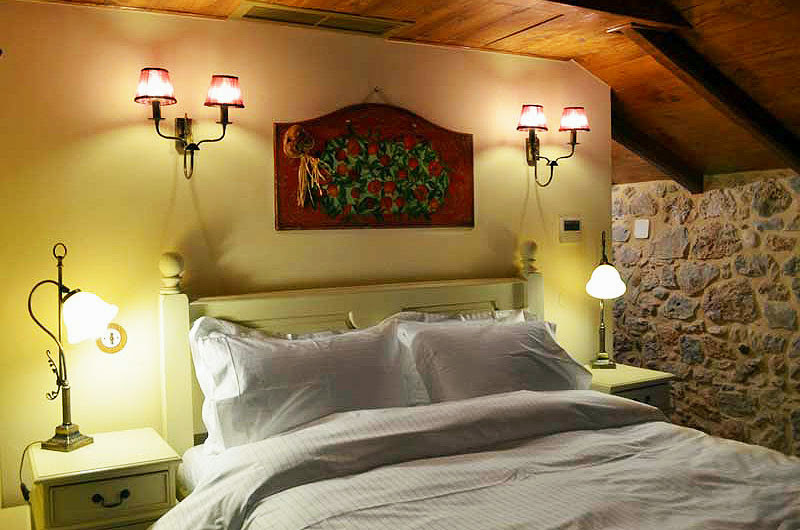 The dreaming decoration and the romantic lighting guarantee a calm stay. 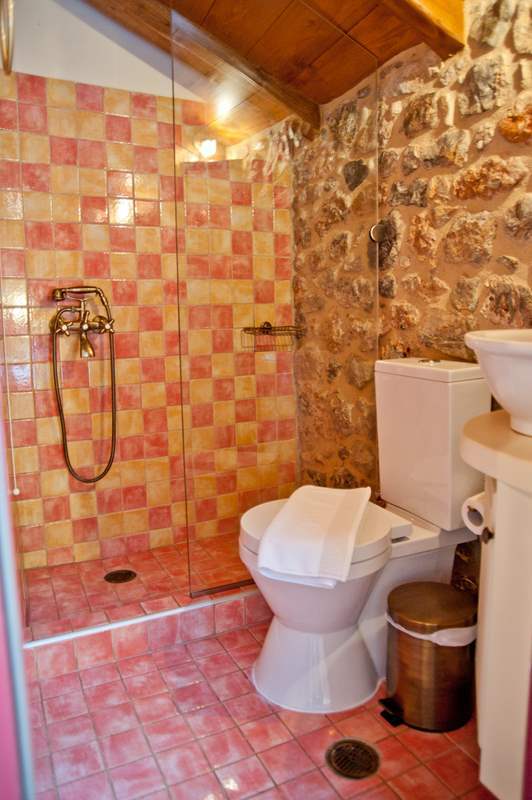 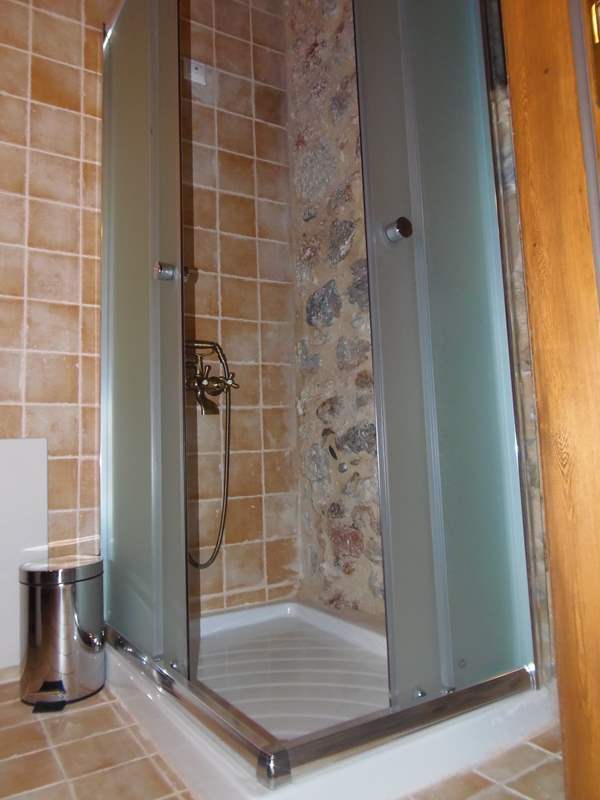 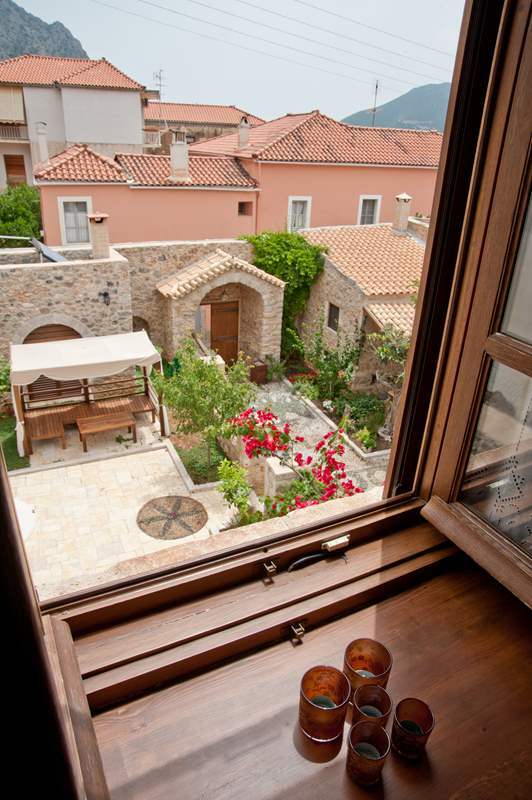 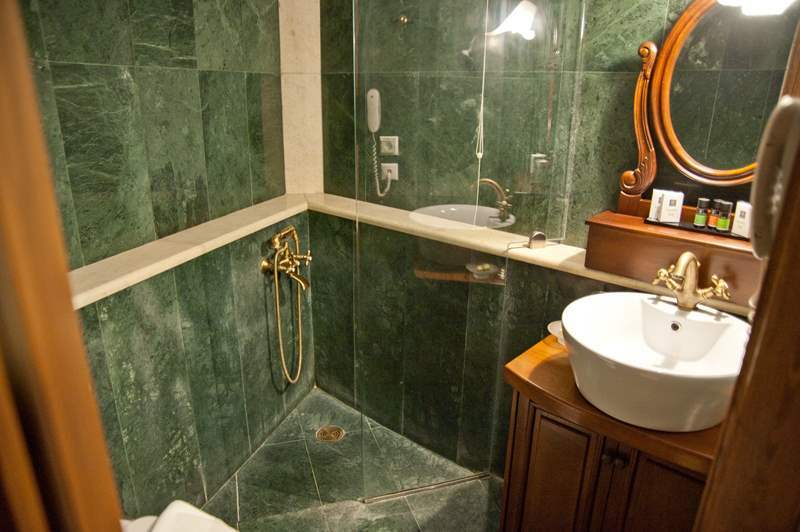 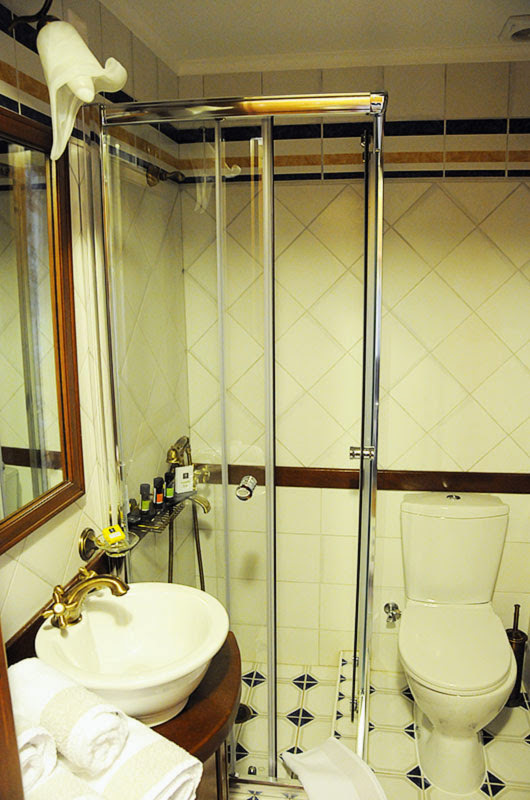 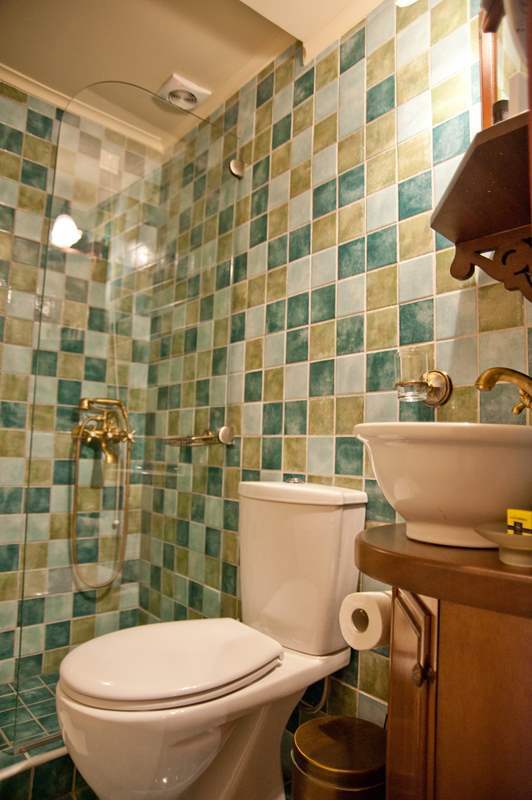 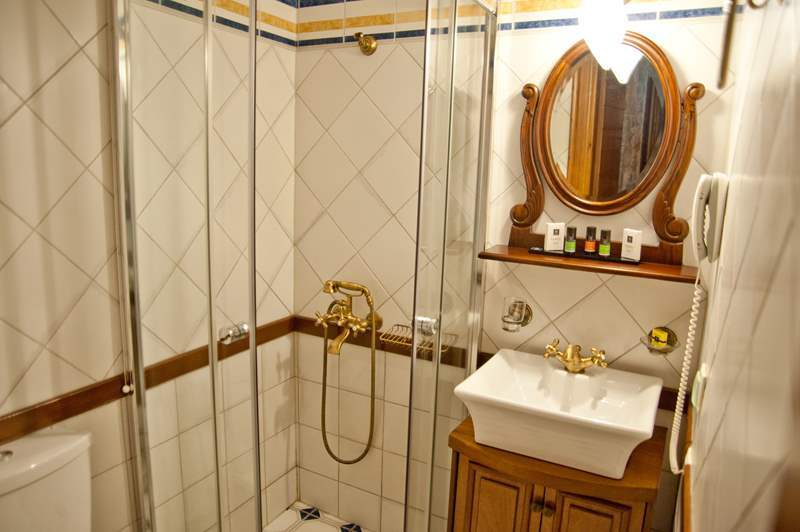 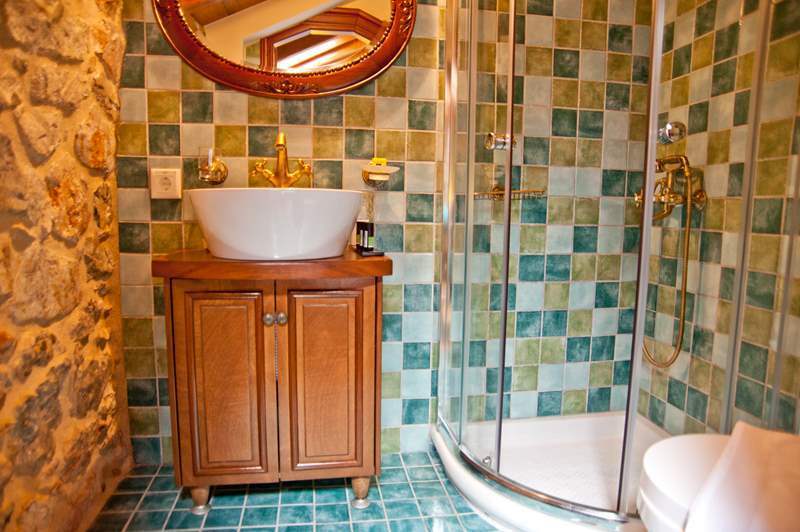 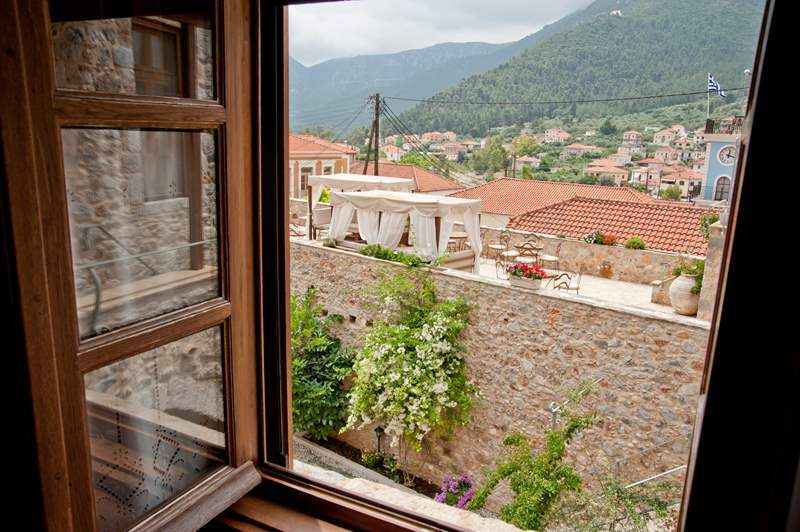 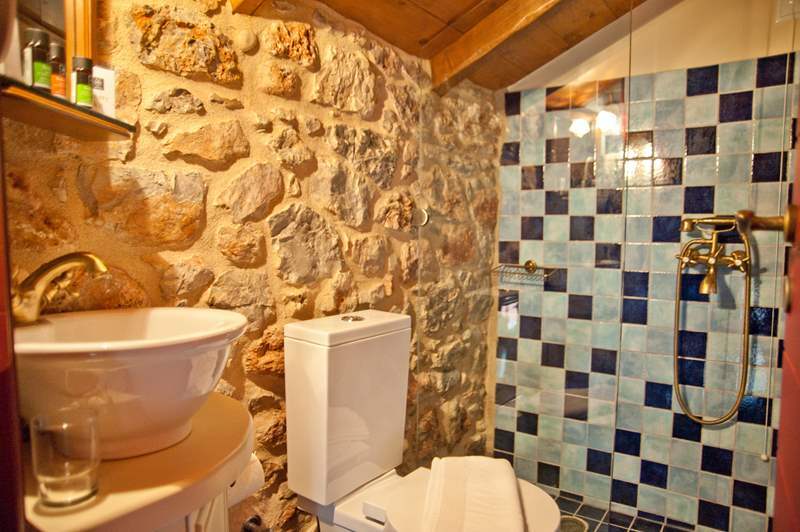 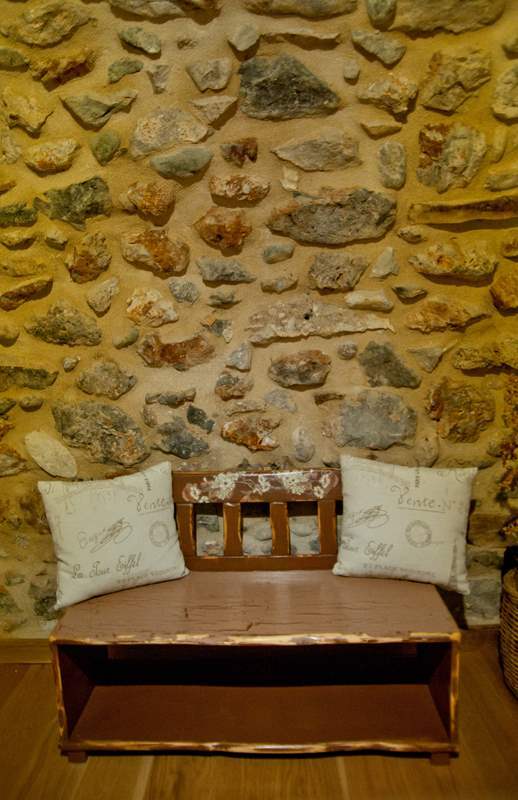 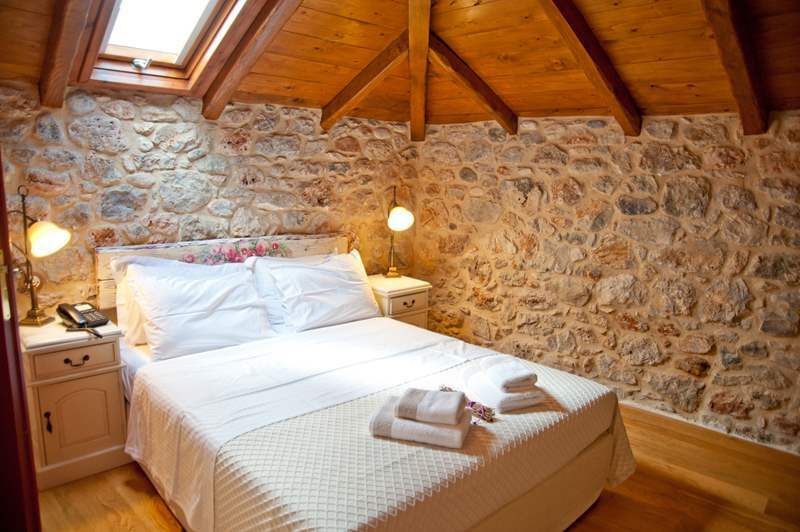 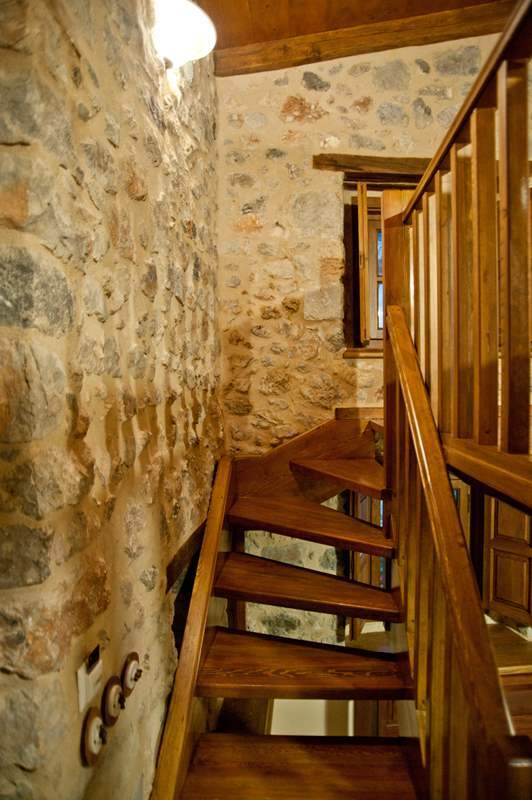 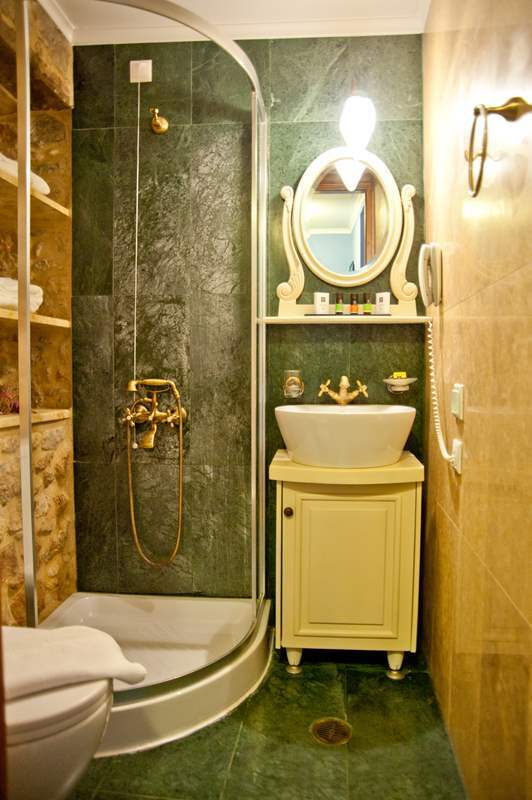 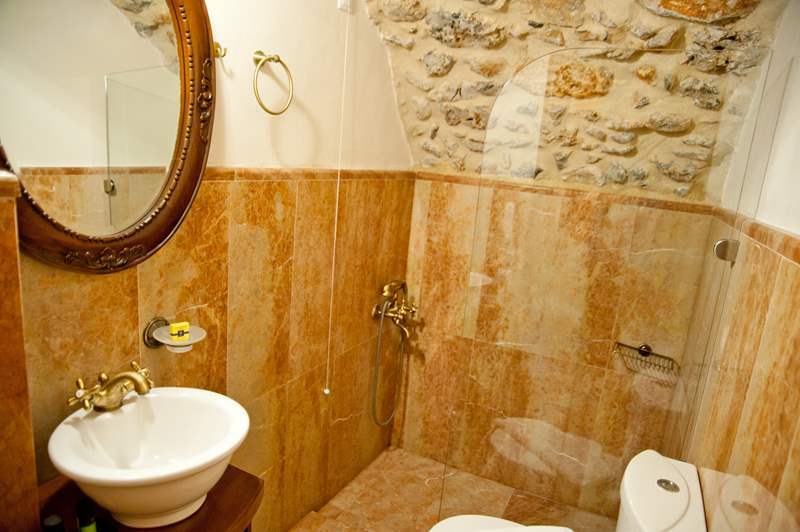 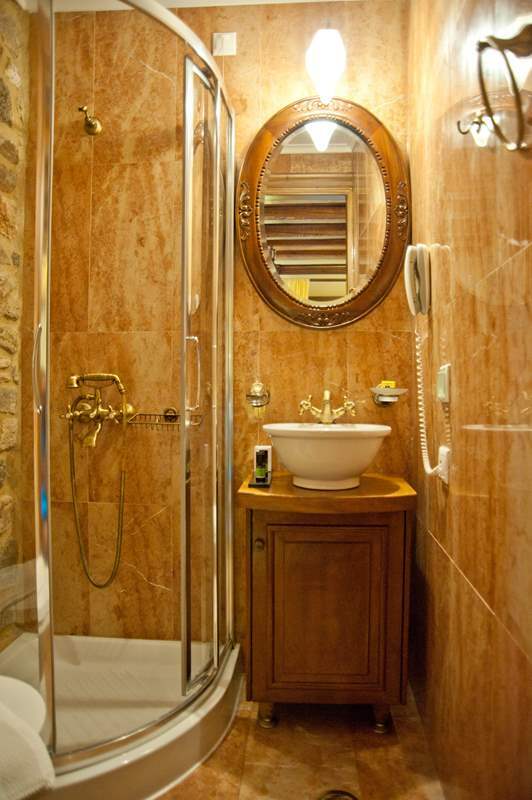 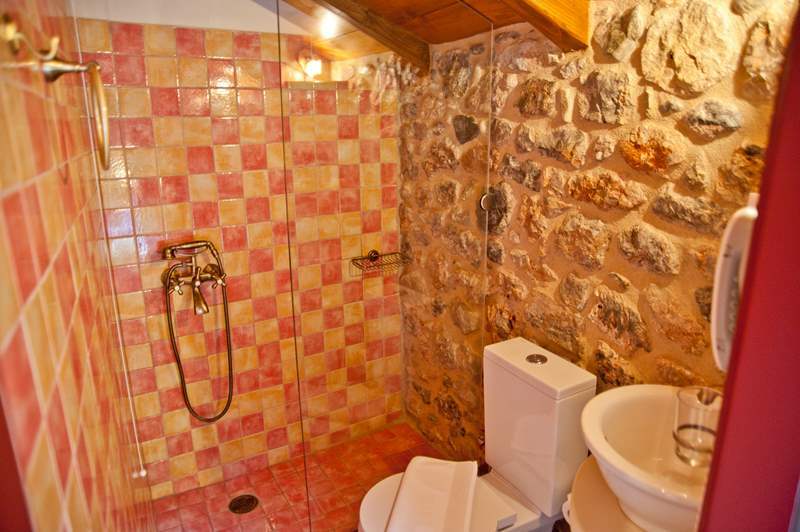 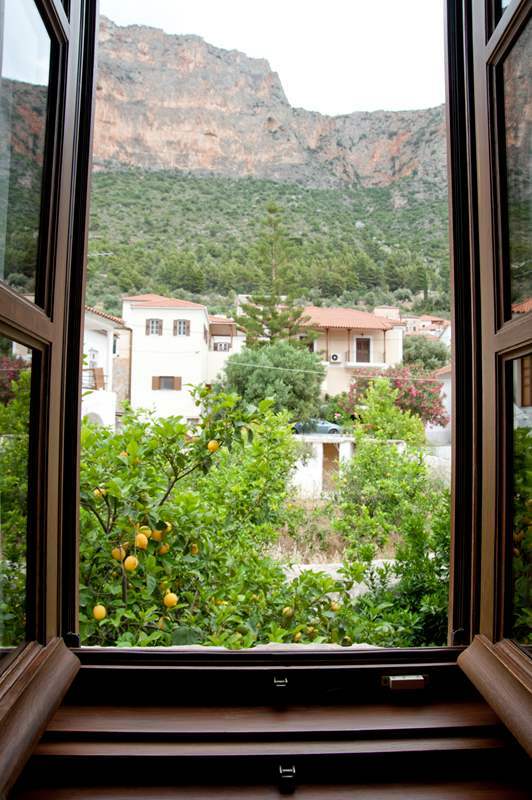 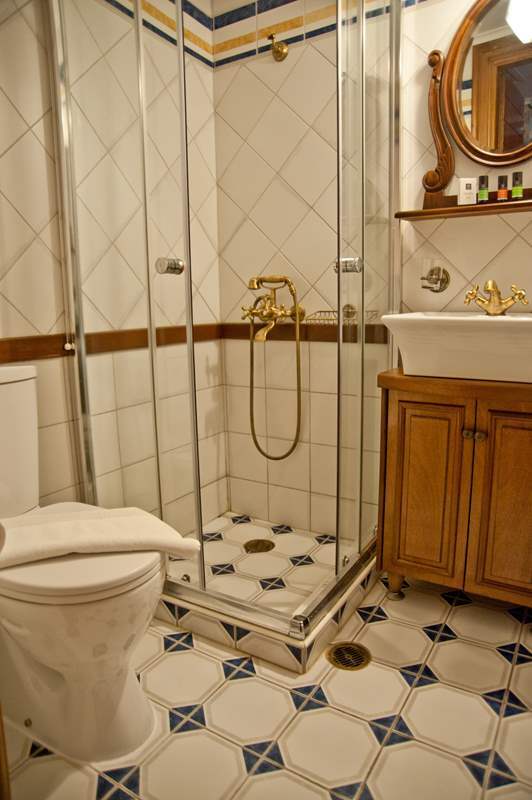 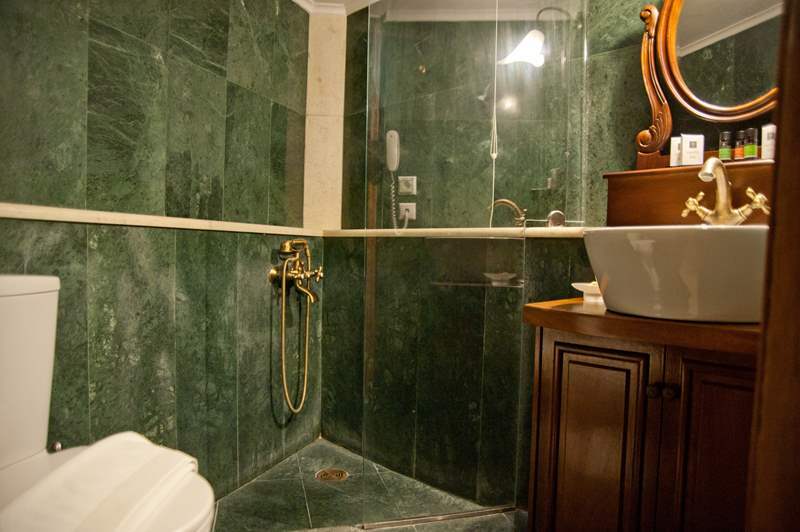 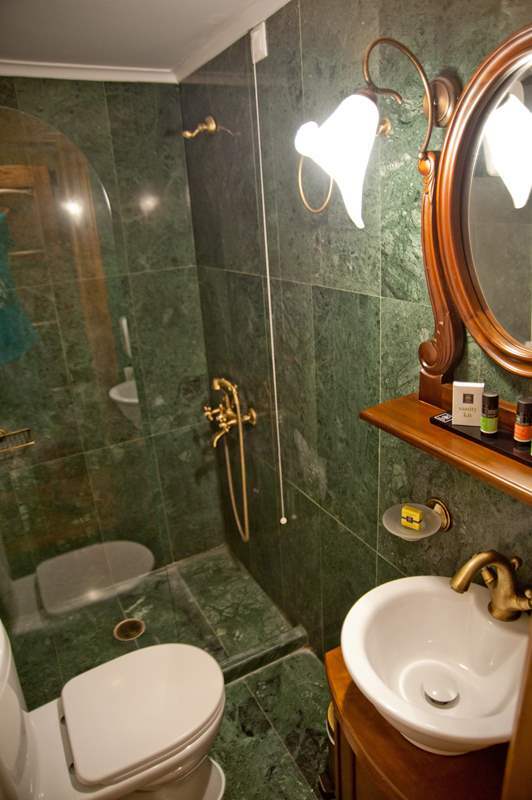 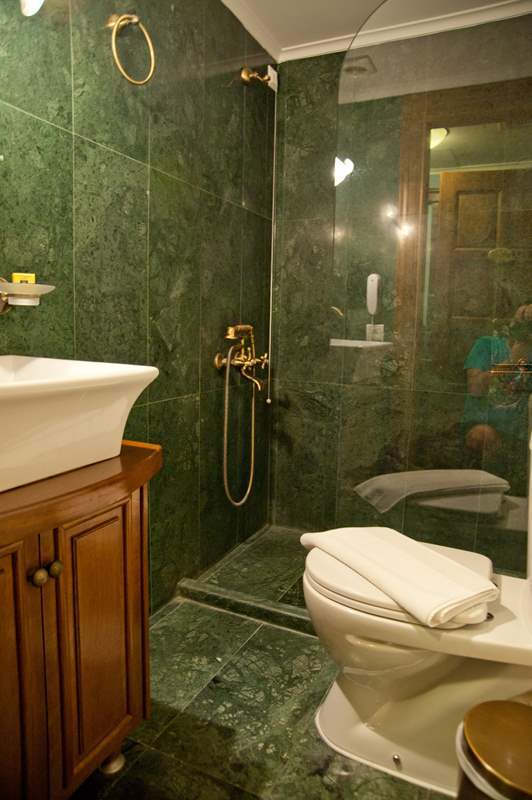 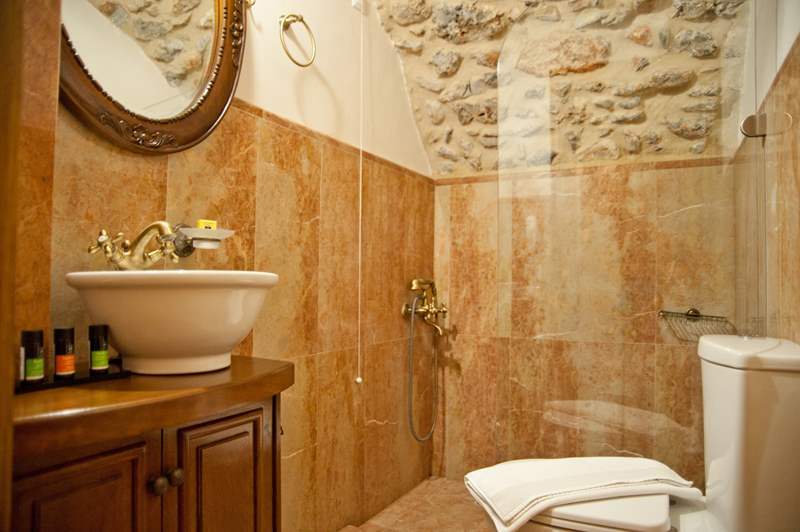 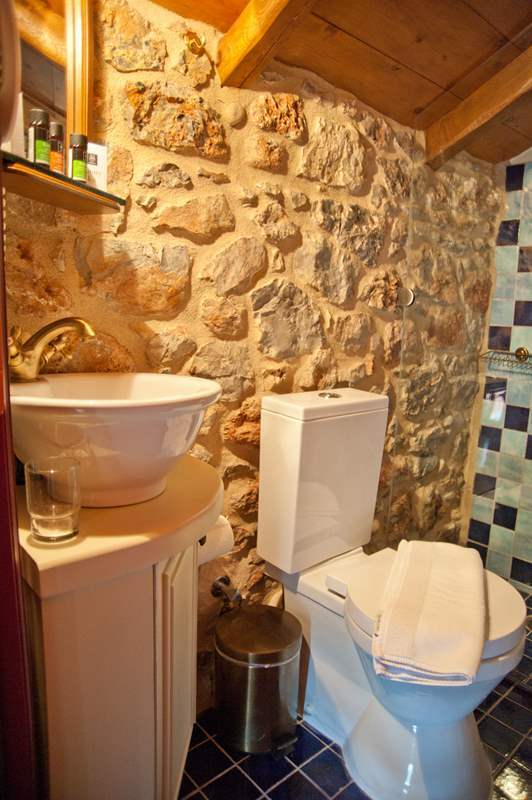 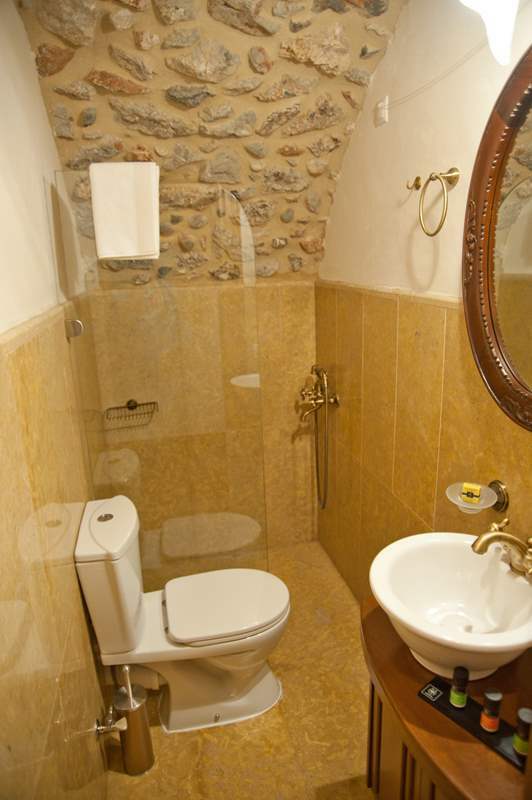 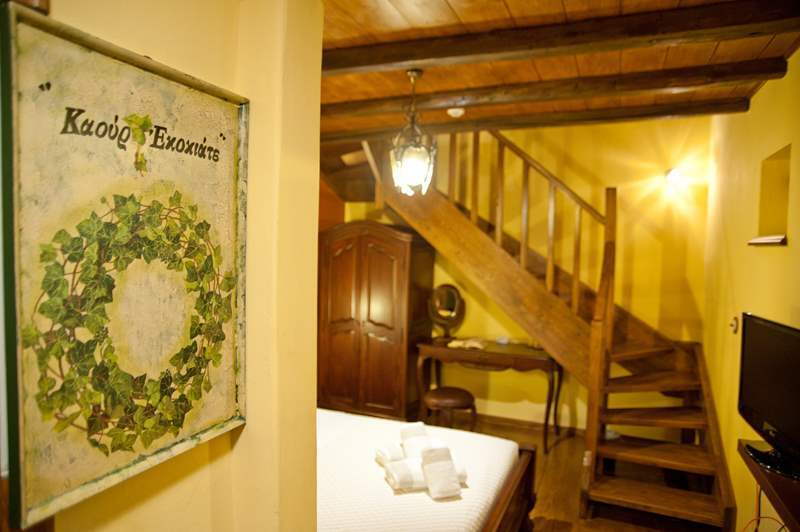 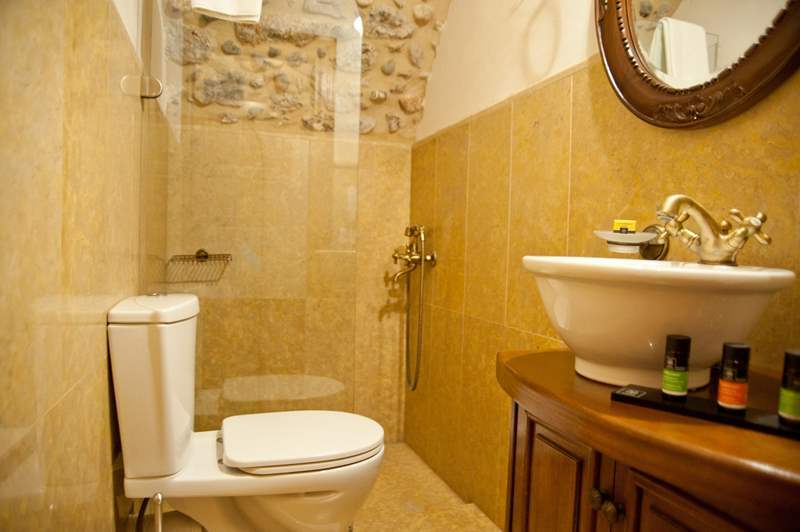 Spacious, two-floor rooms with an internal staircase which can host 3-4 guests. 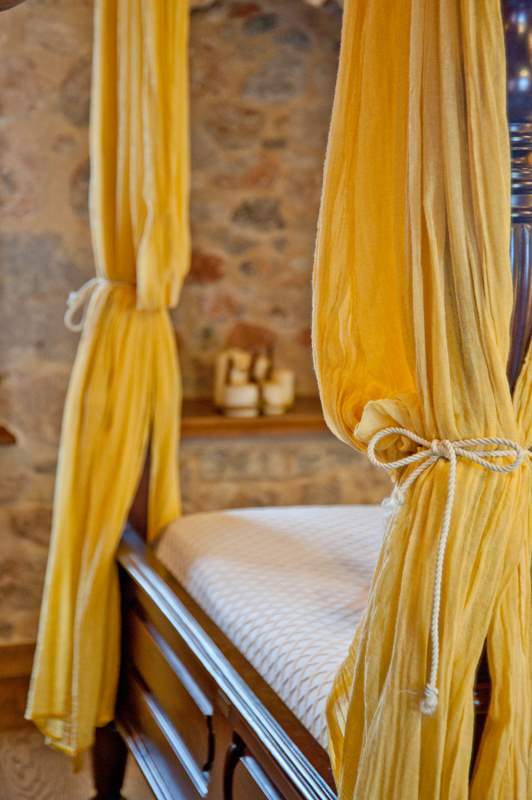 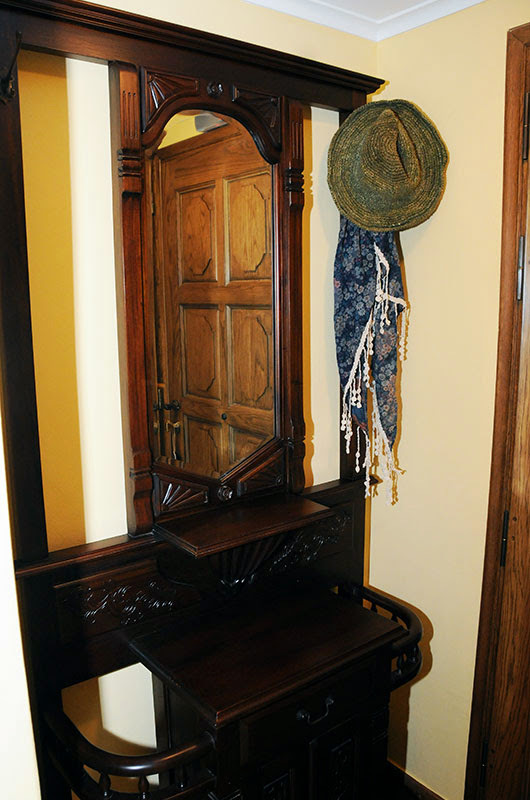 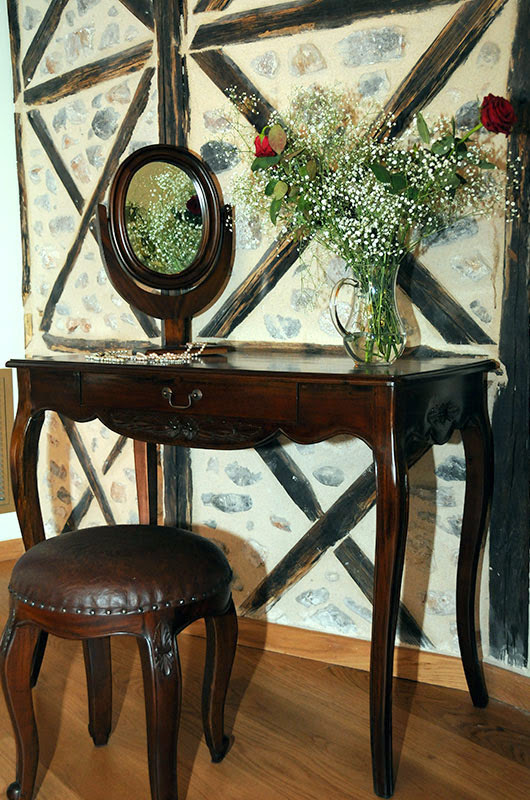 Their unique furnishing and the exquisite decoration give off a regal and warm impression. 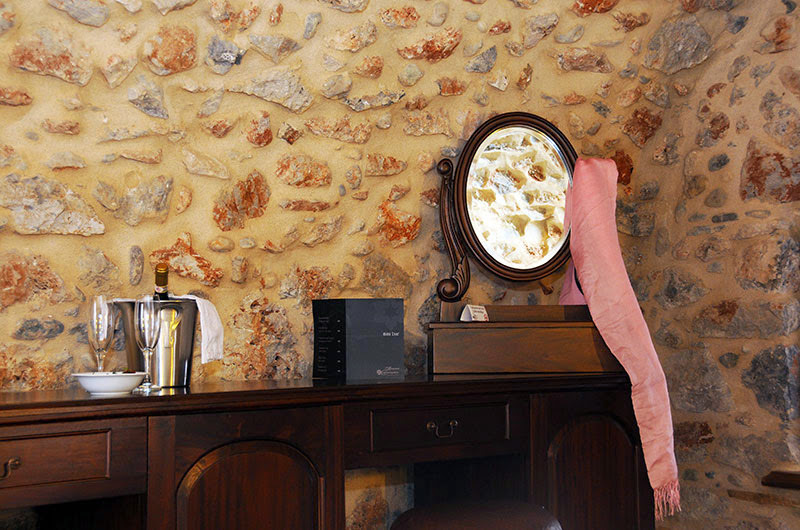 Relaxing Coco-Mat mattresses, soft Guy Laroche linen and named cosmetics of Apivita ensure a pleasure accommodation.